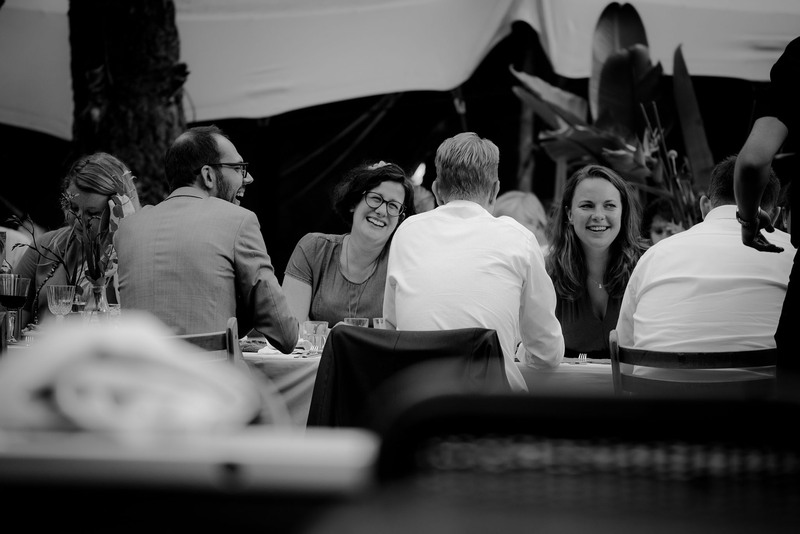 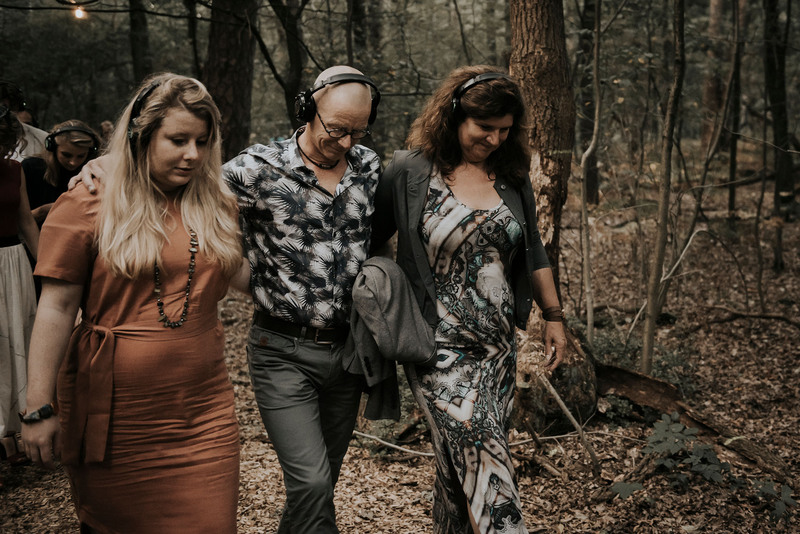 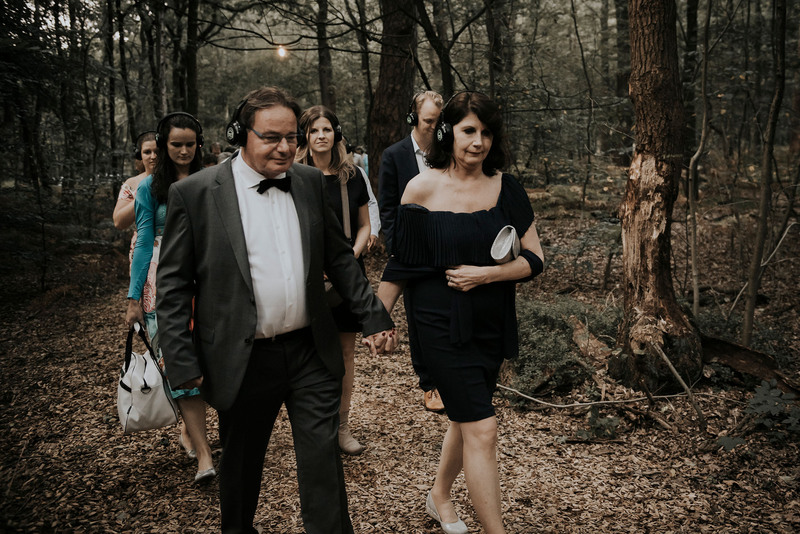 Bart, Sabine and I first met at their wedding location, in a forest in Lage Vuursche. 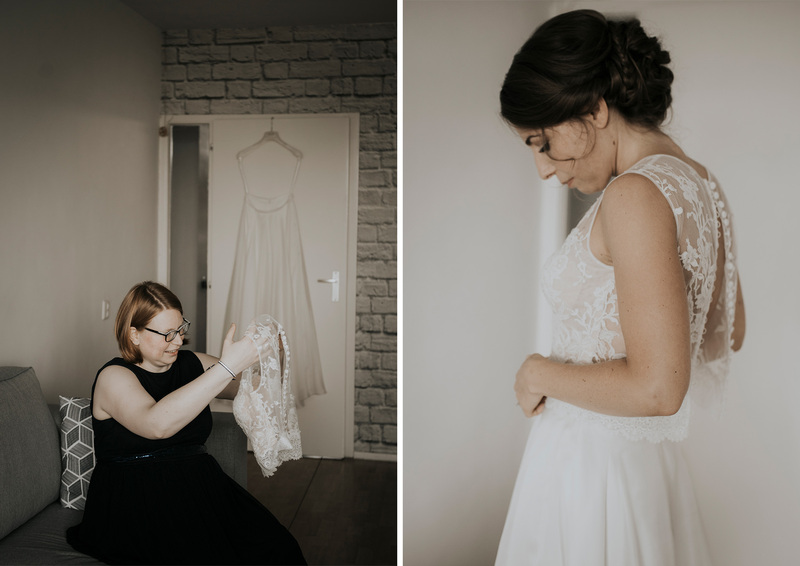 They showed me around, explained their plans and told me about themselves. 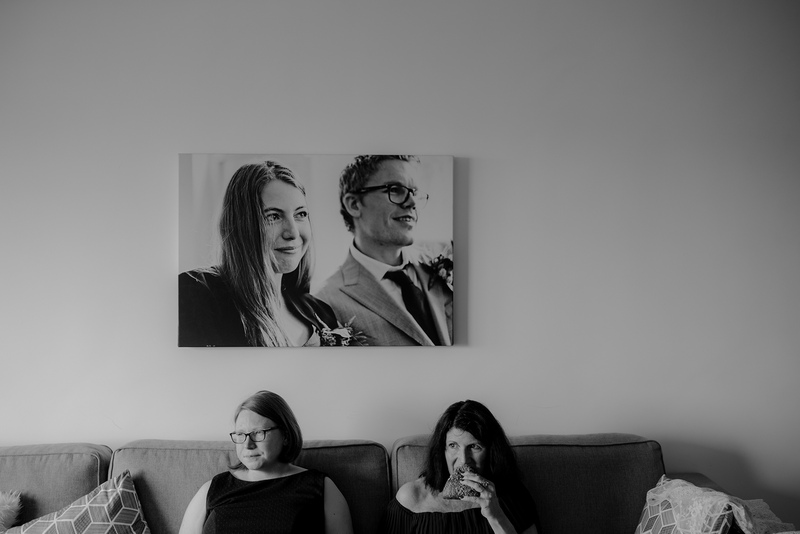 A few months later I was thrilled to be joining their wedding celebration. 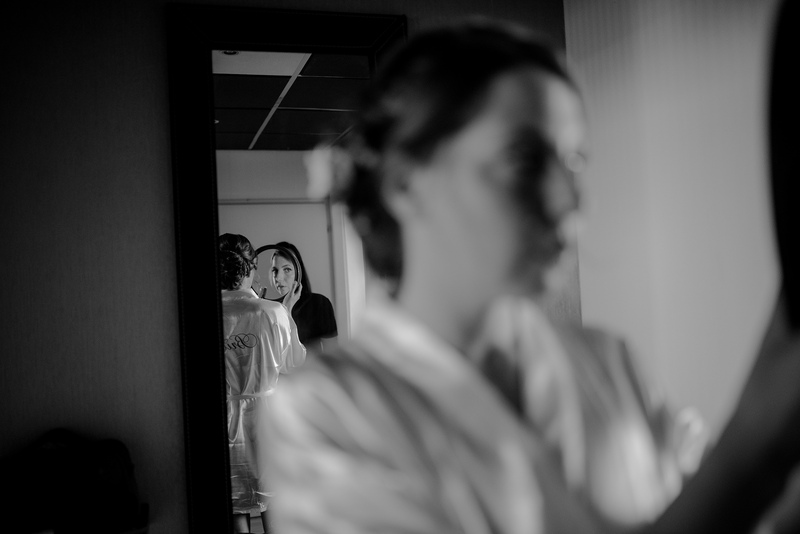 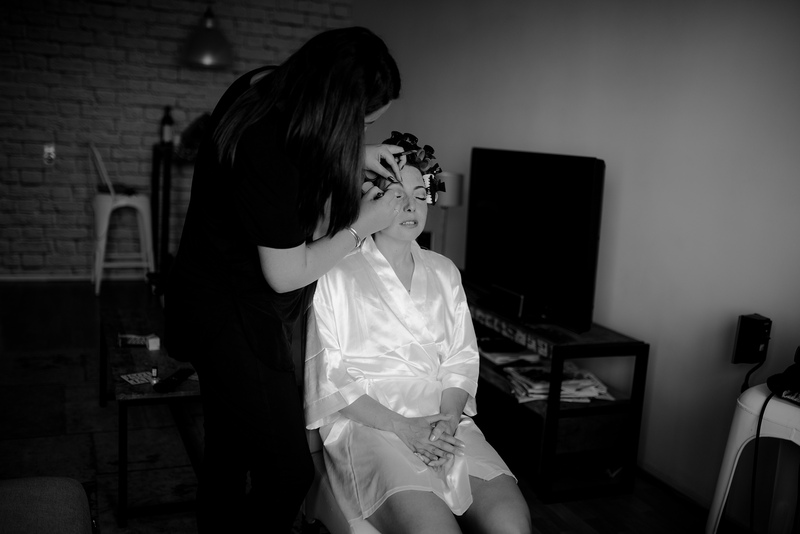 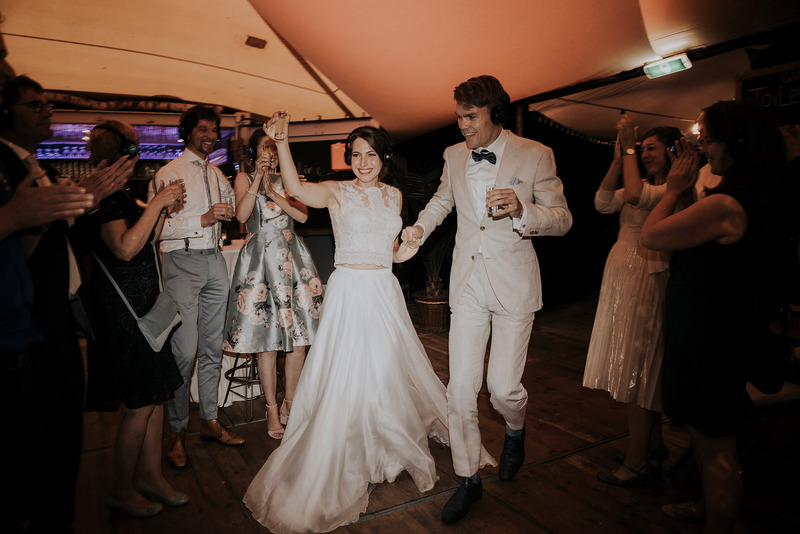 First I joined the bridal party at Sabine’s apartment in Utrecht. 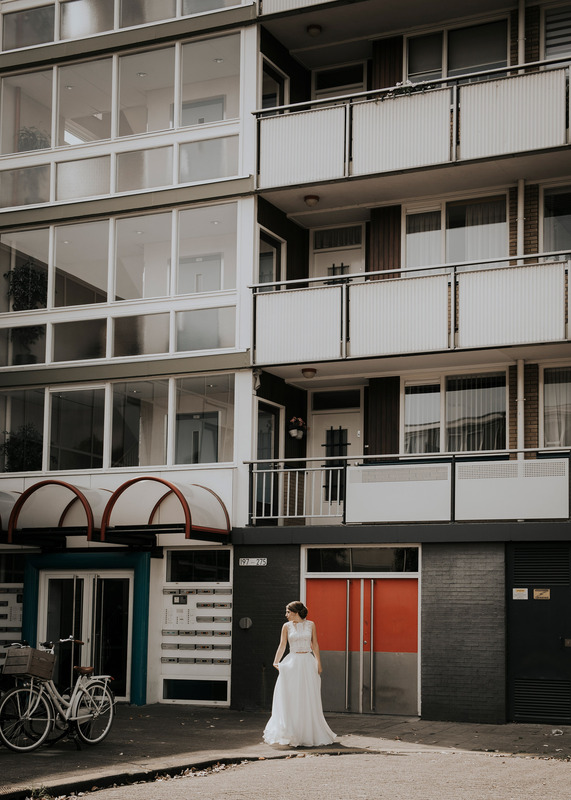 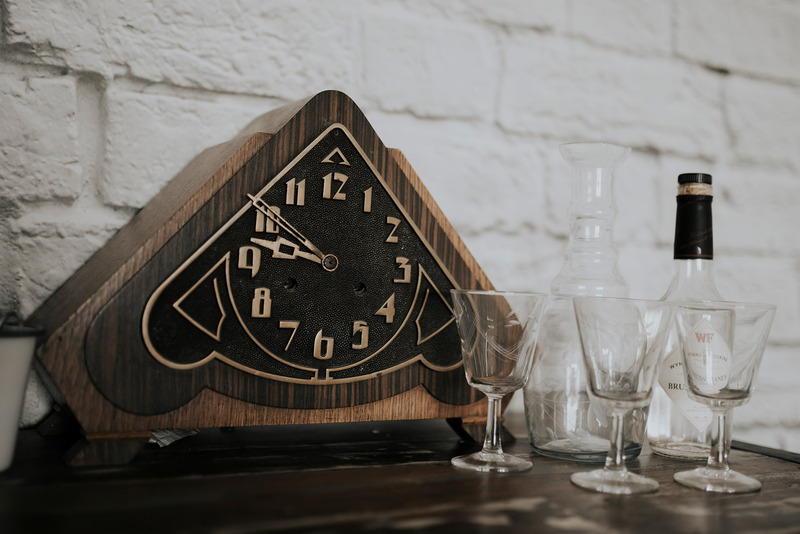 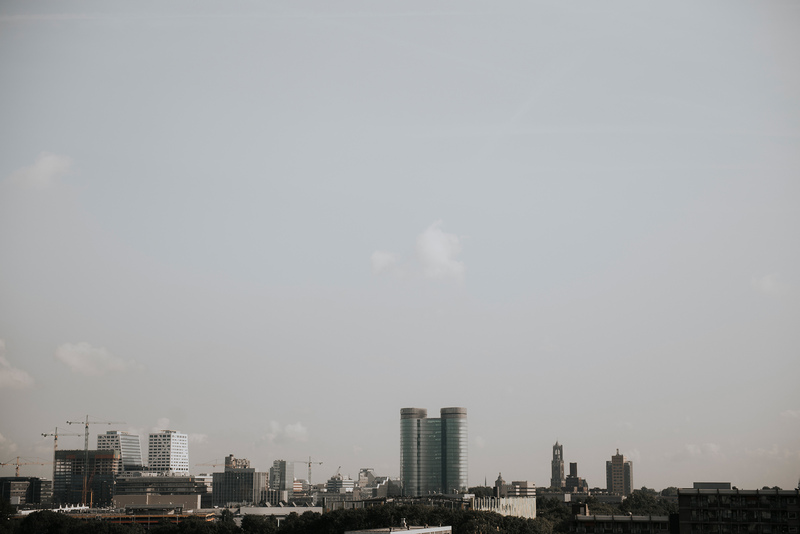 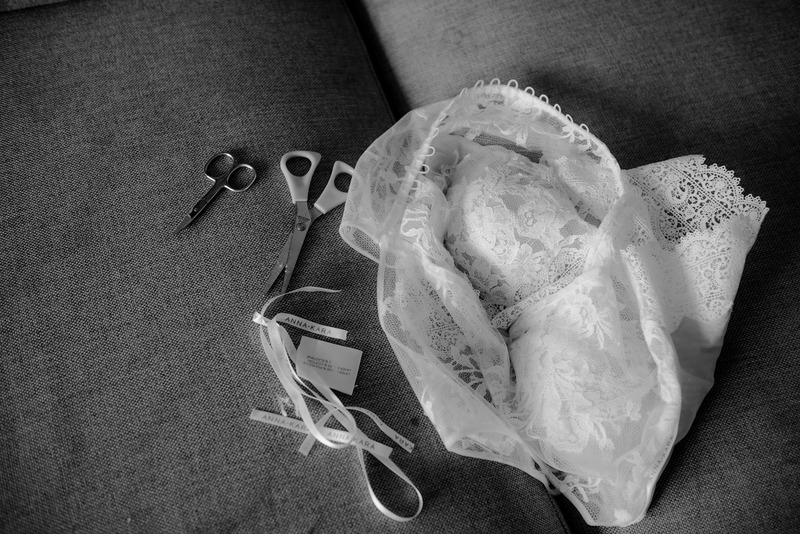 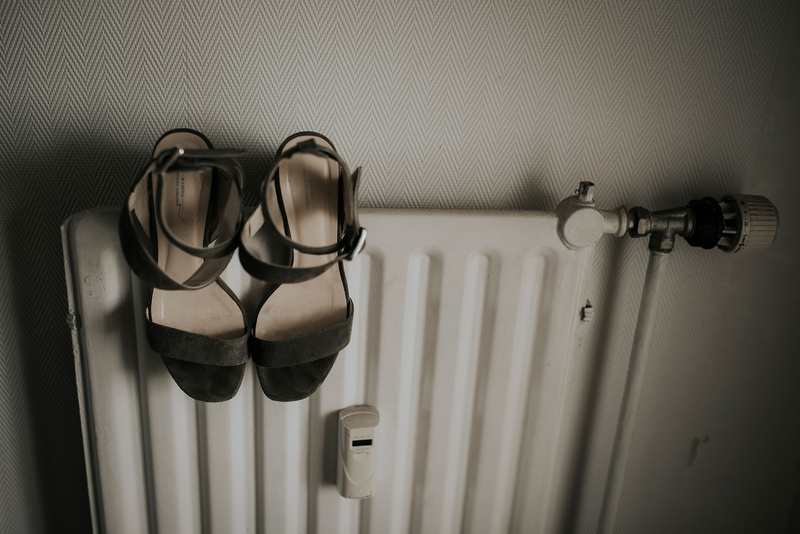 She lives on the 10th floor of an apartment block, which has stunning views of the city. 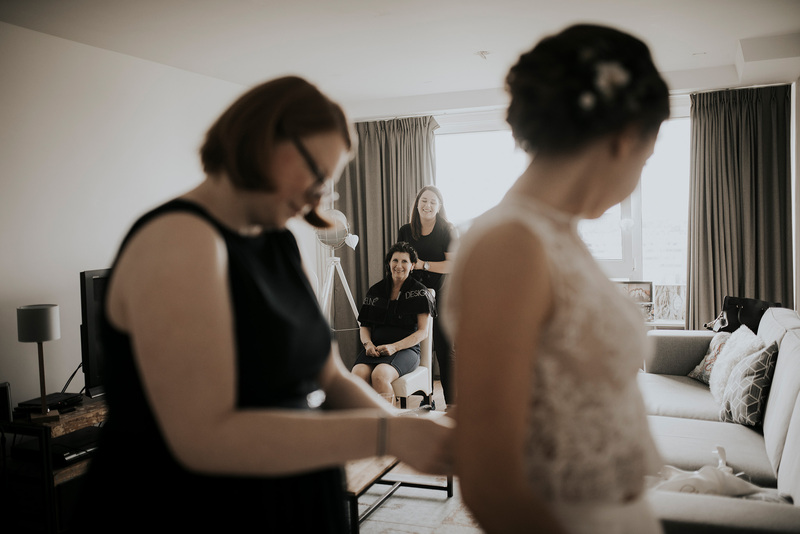 There was excited preparation, giggles and chatter. 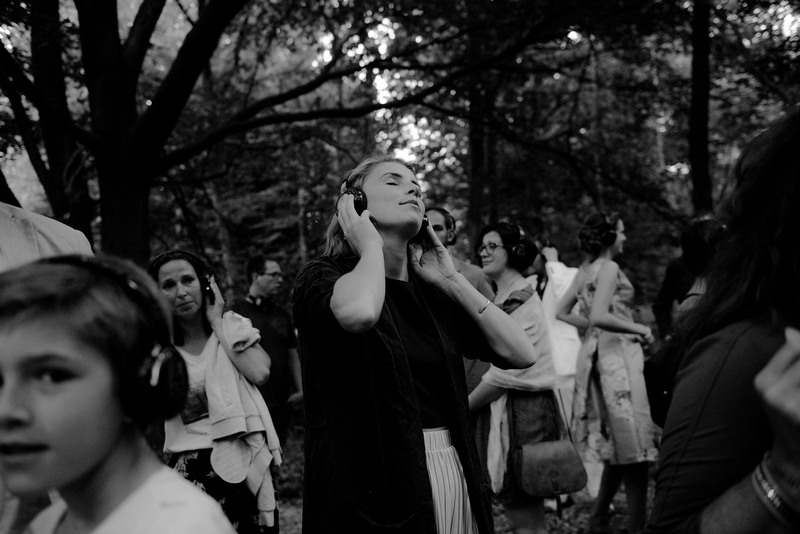 The atmosphere was already brilliant. 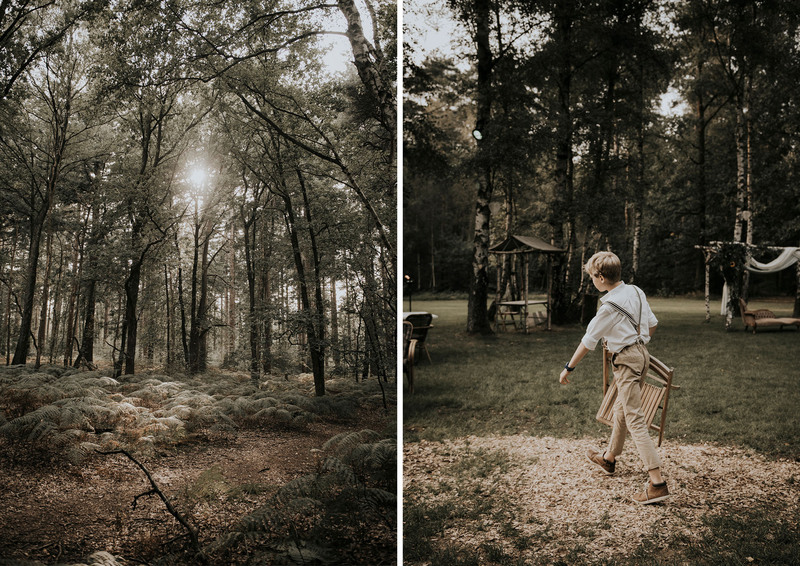 Then Sabine got in her father’s car and headed to the forest, with me hot on her heels. 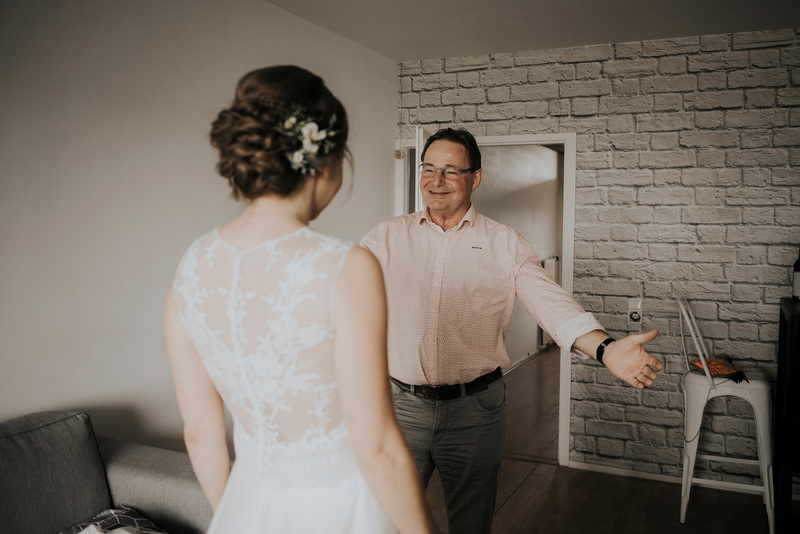 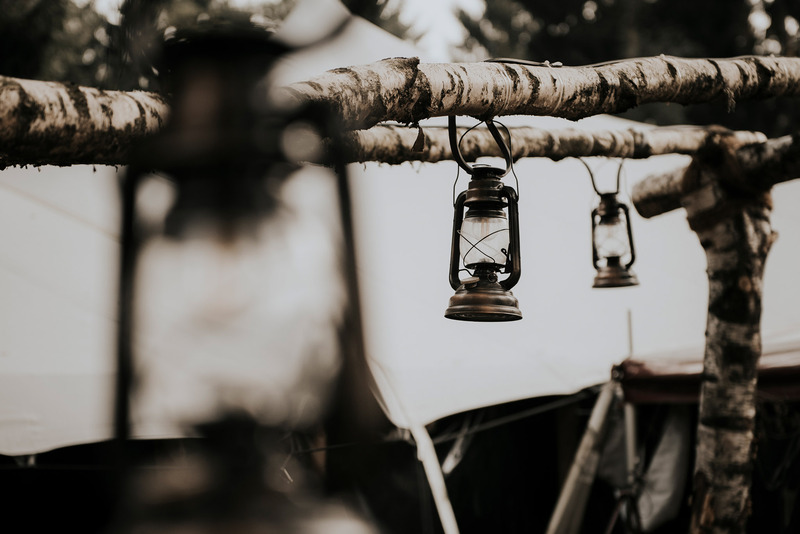 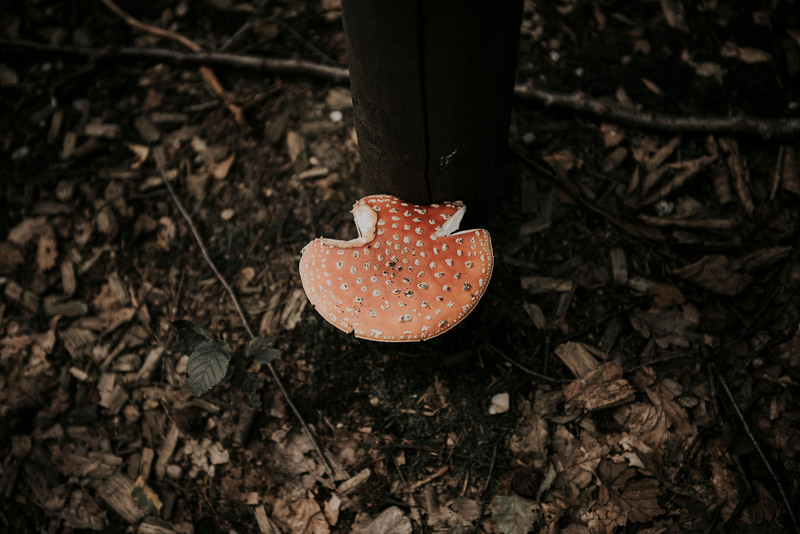 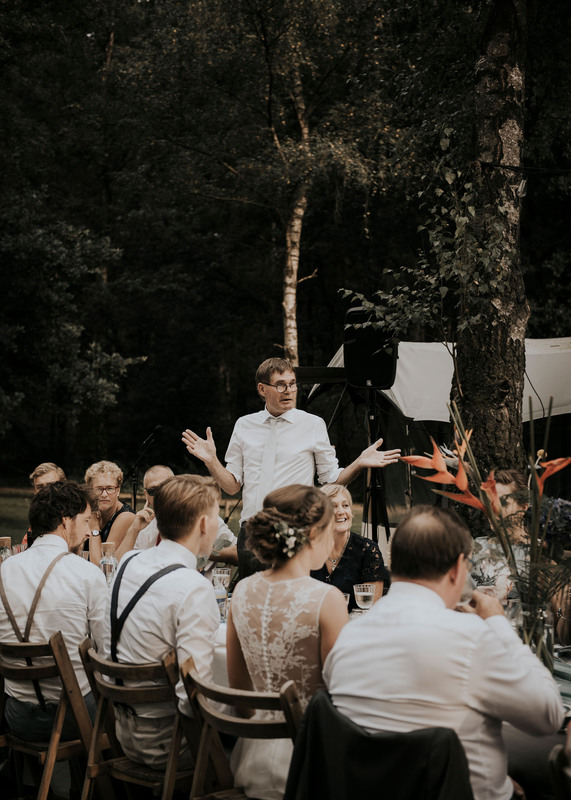 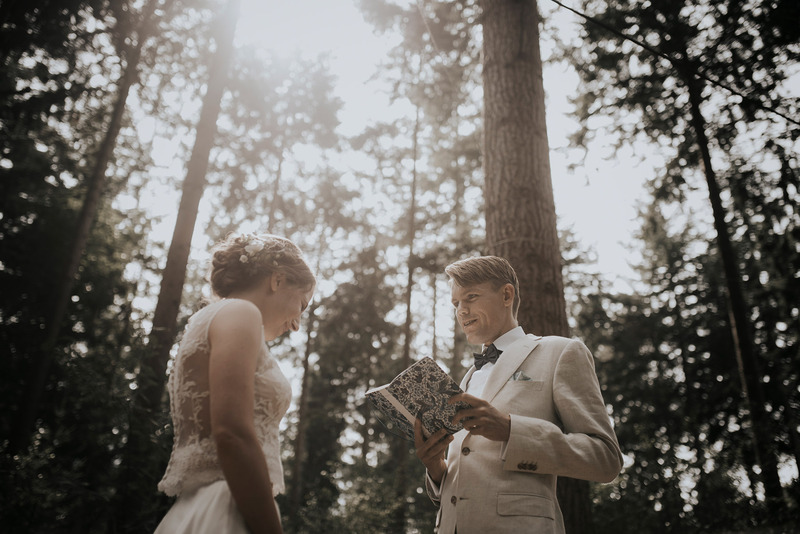 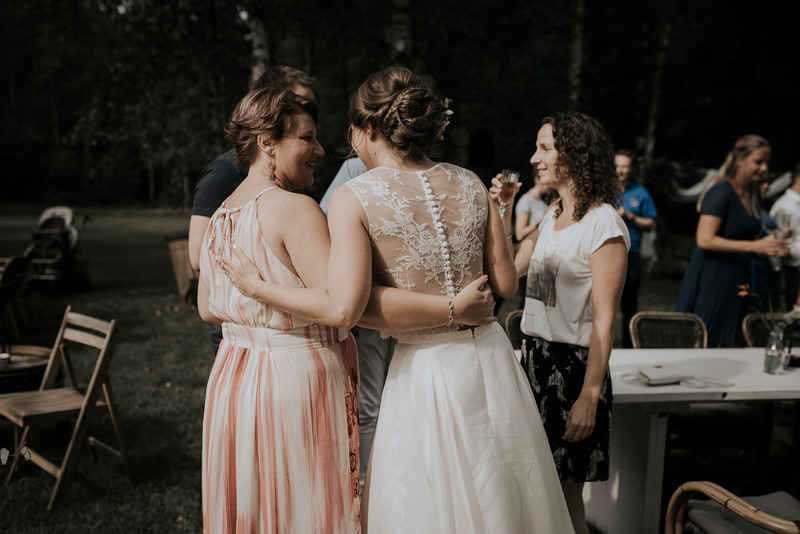 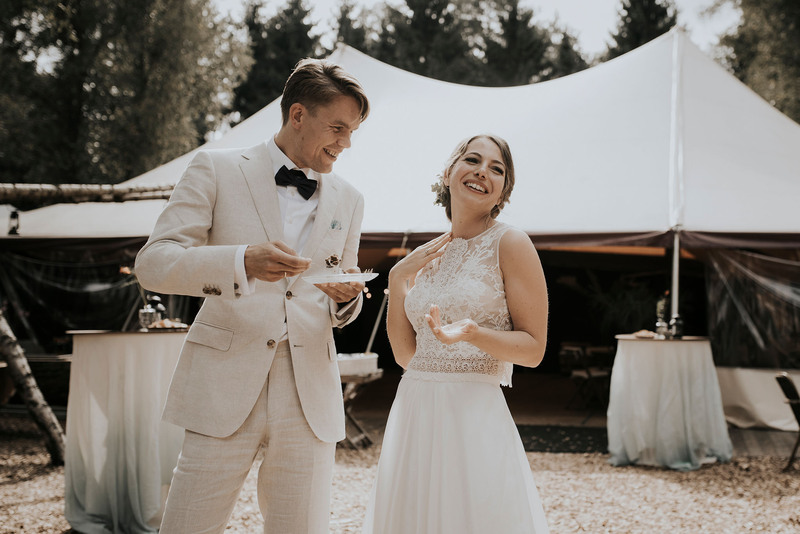 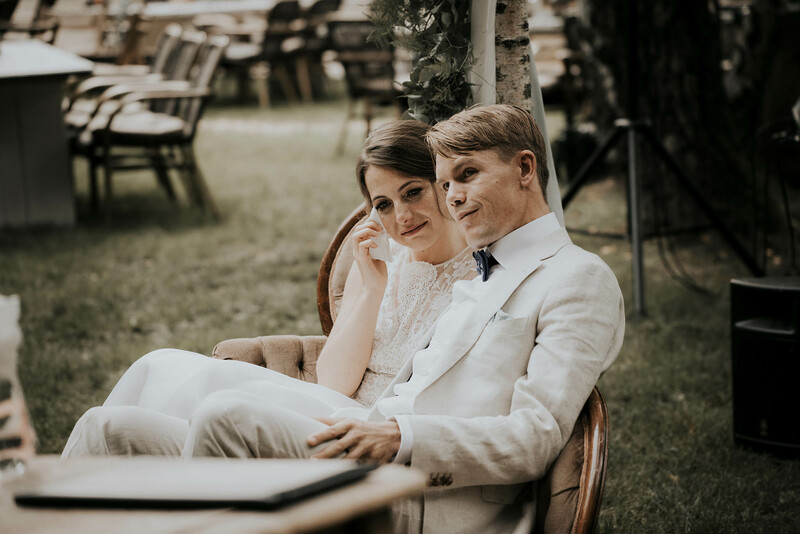 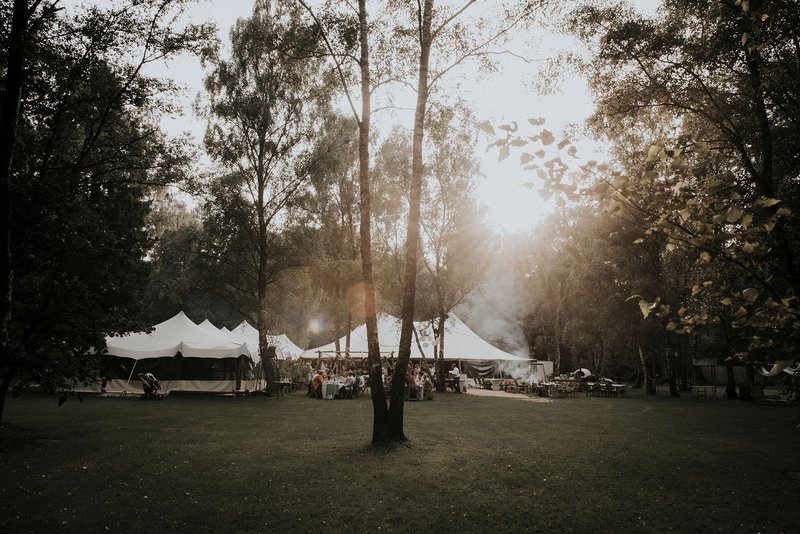 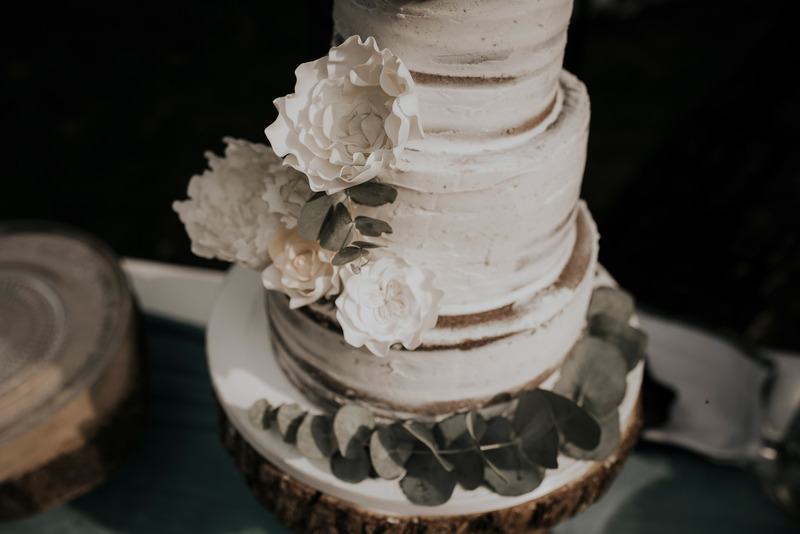 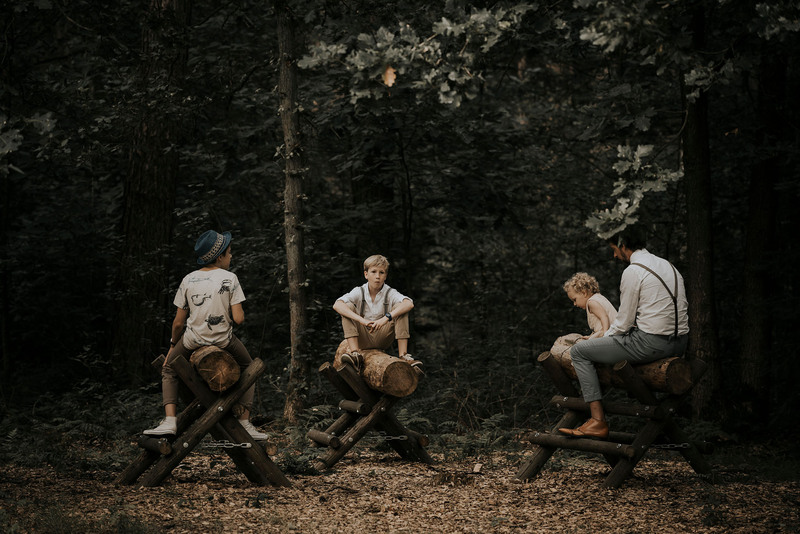 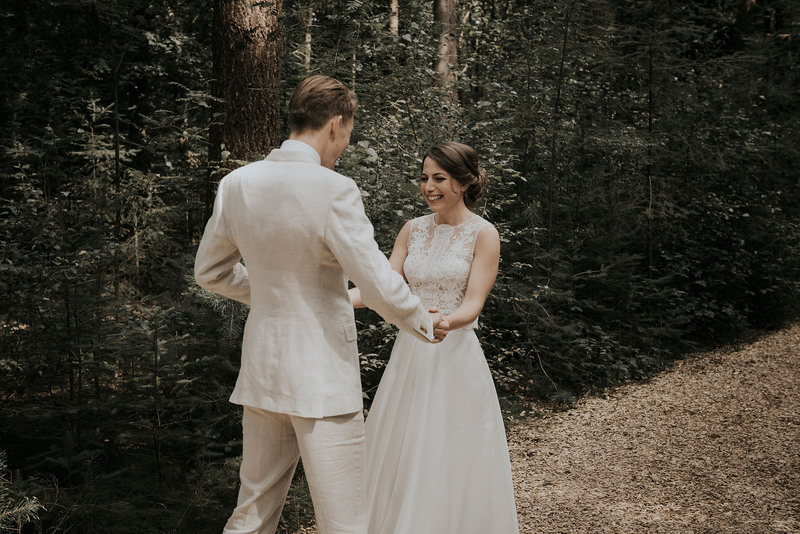 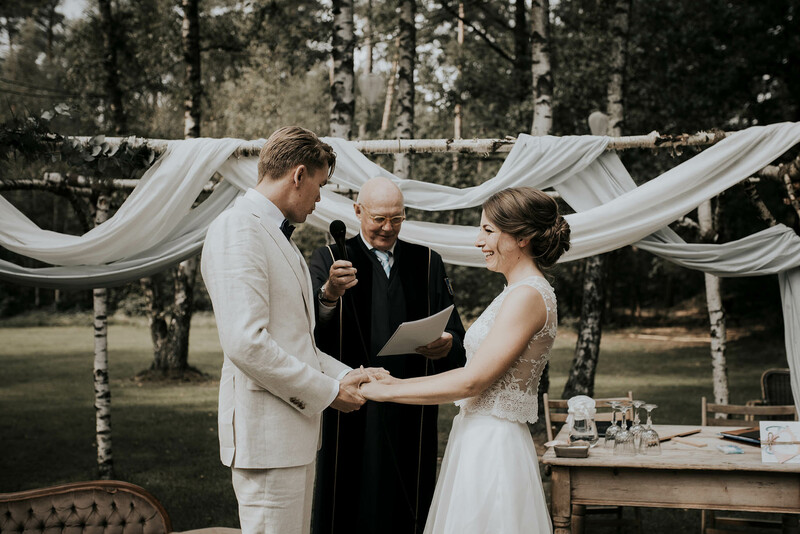 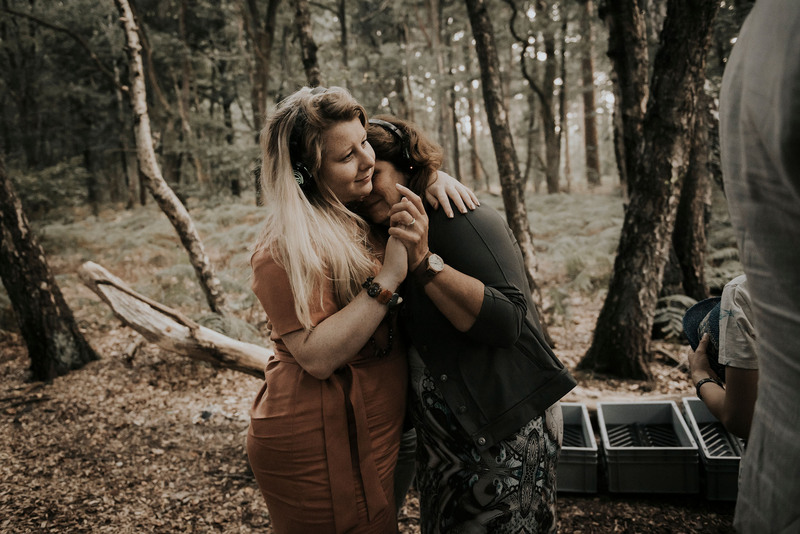 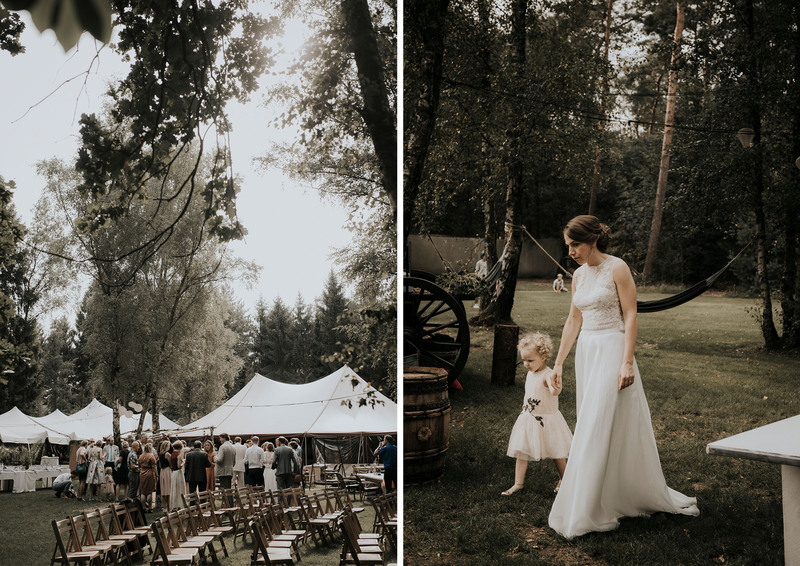 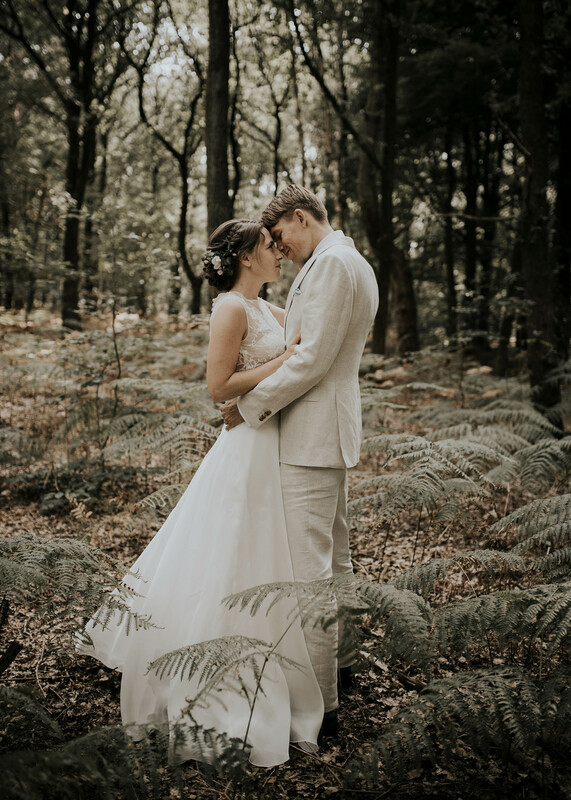 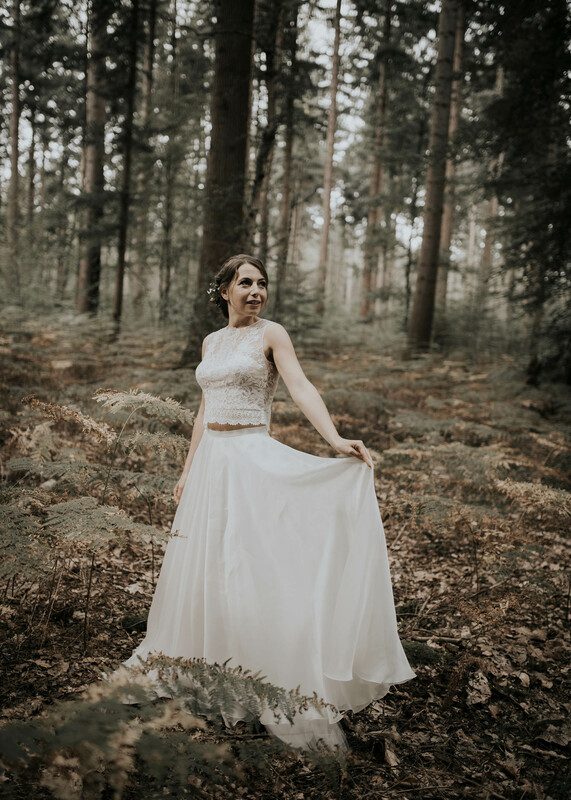 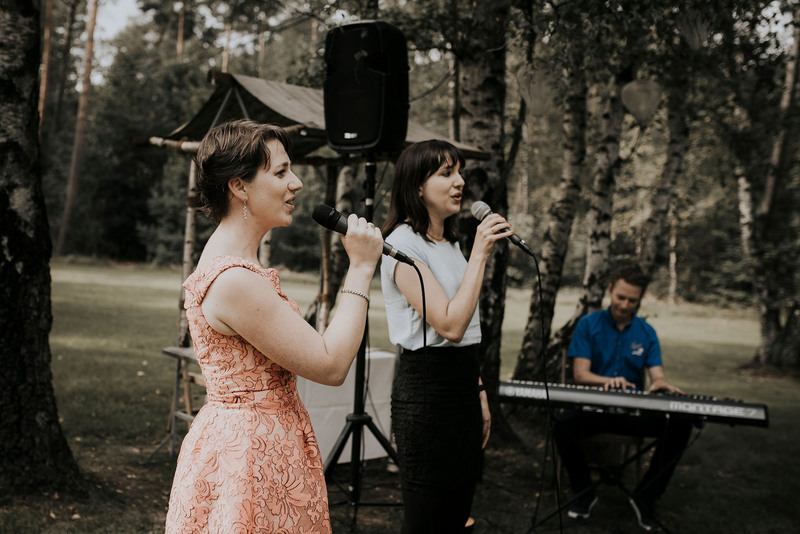 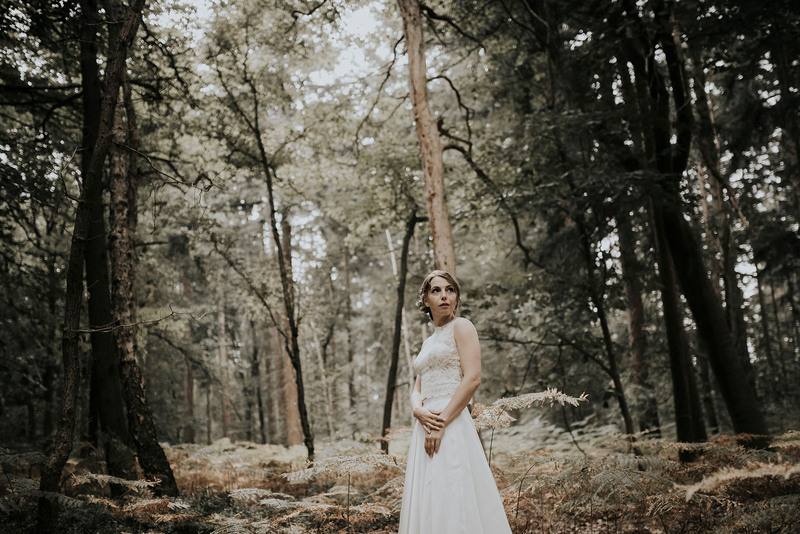 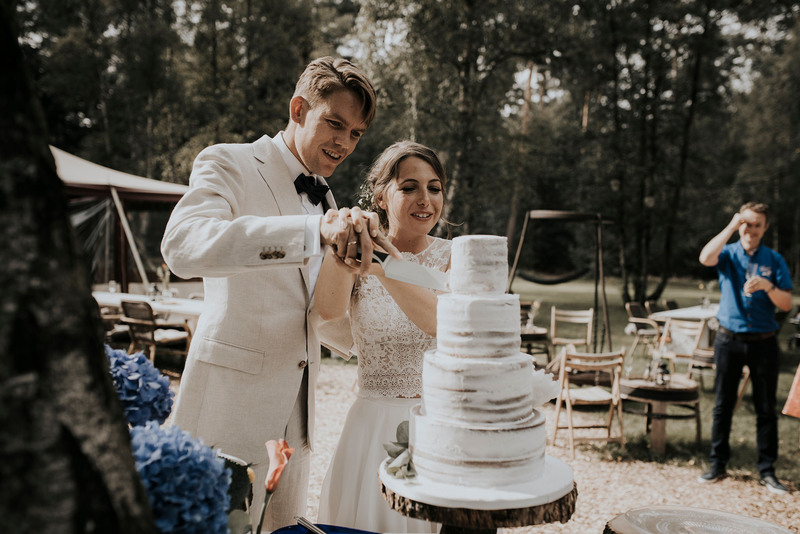 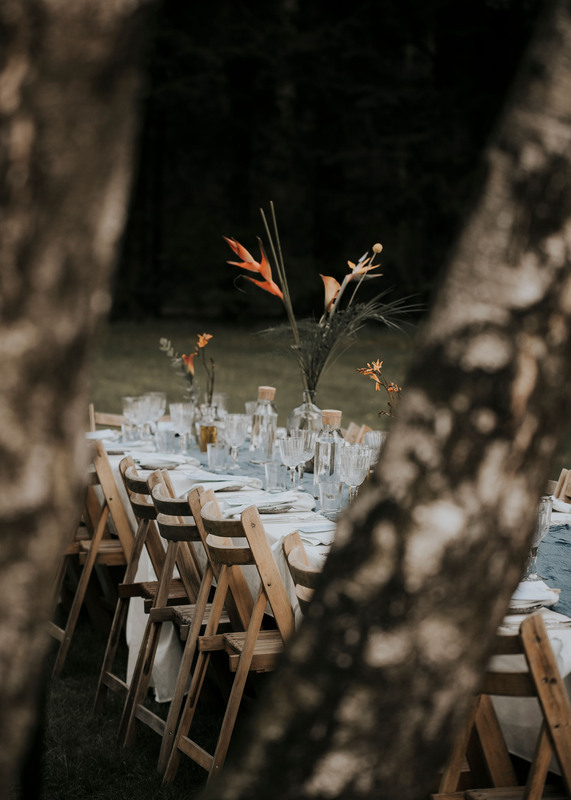 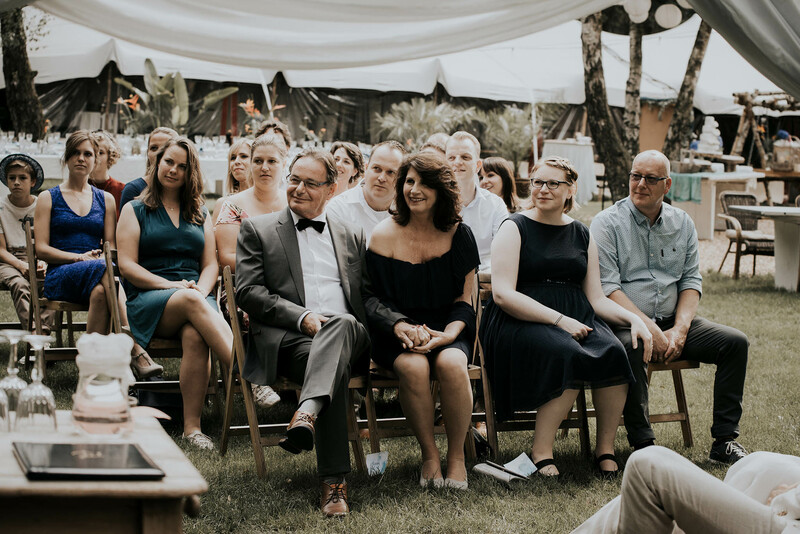 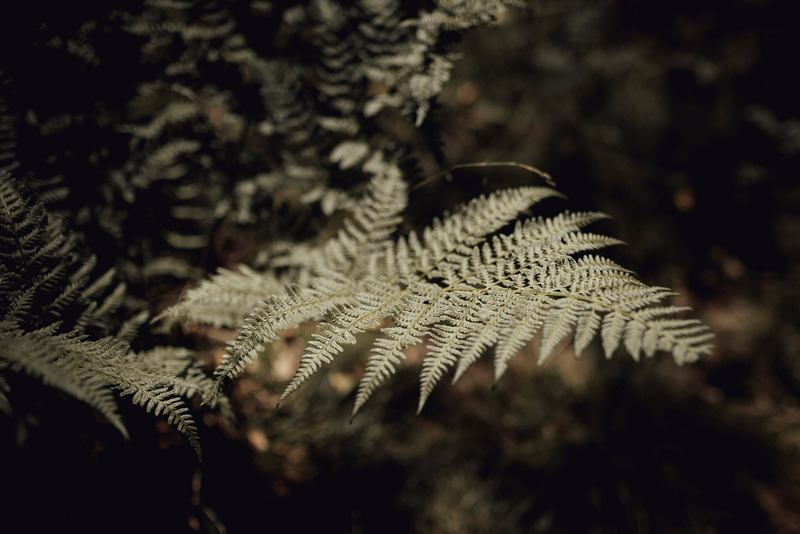 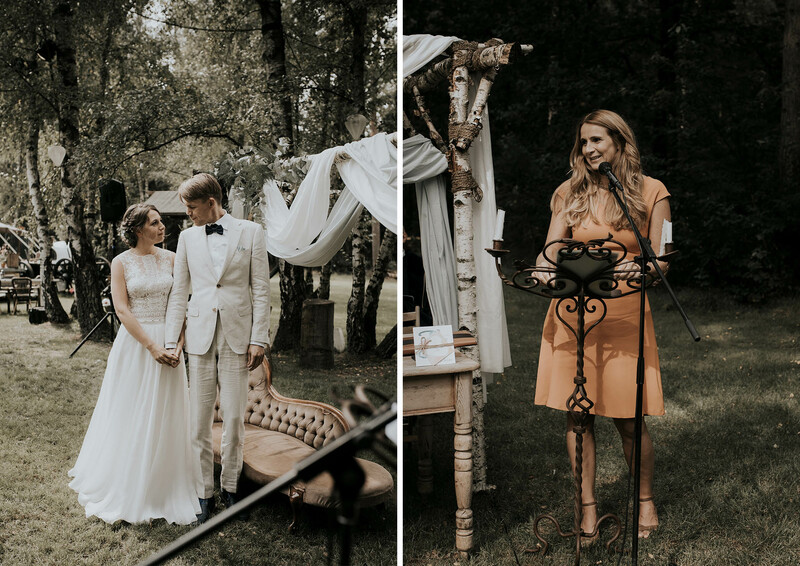 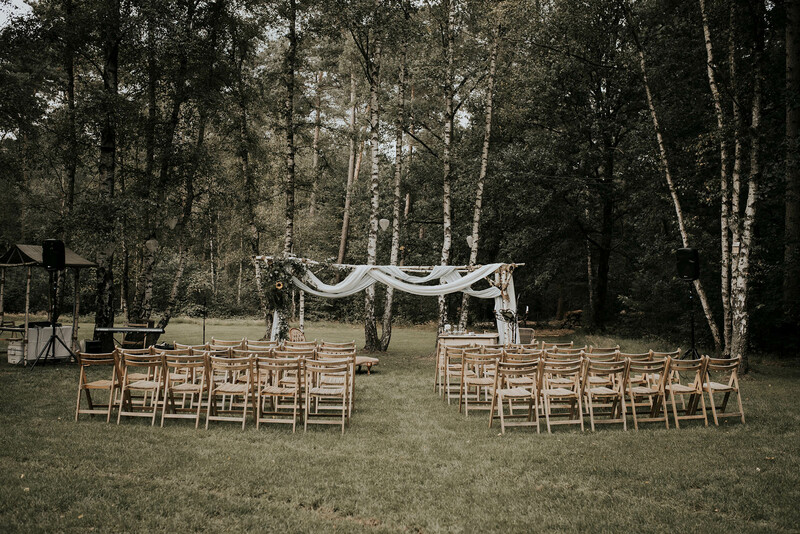 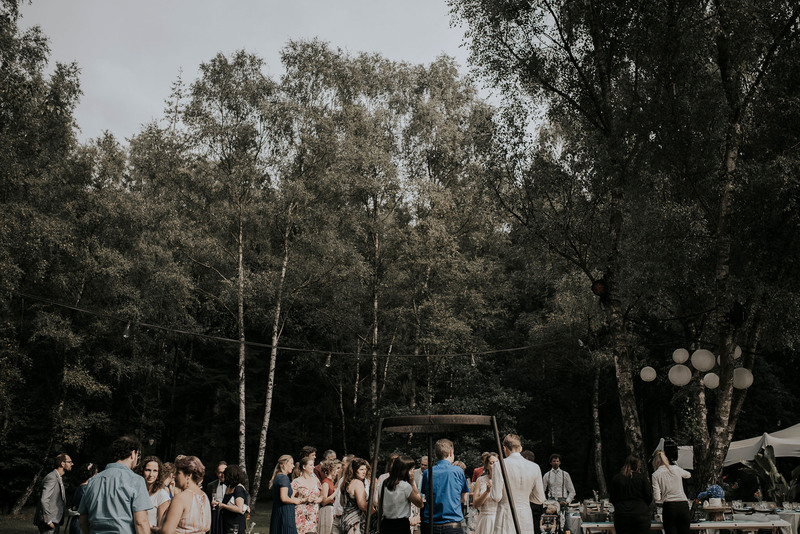 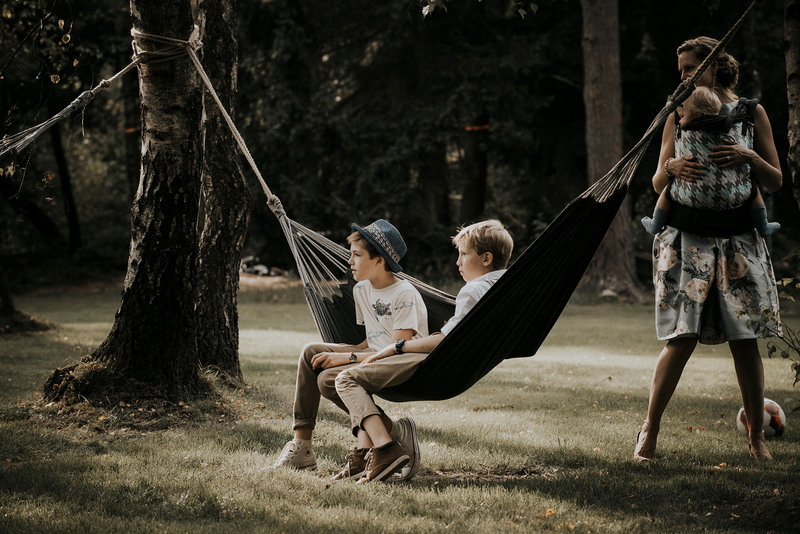 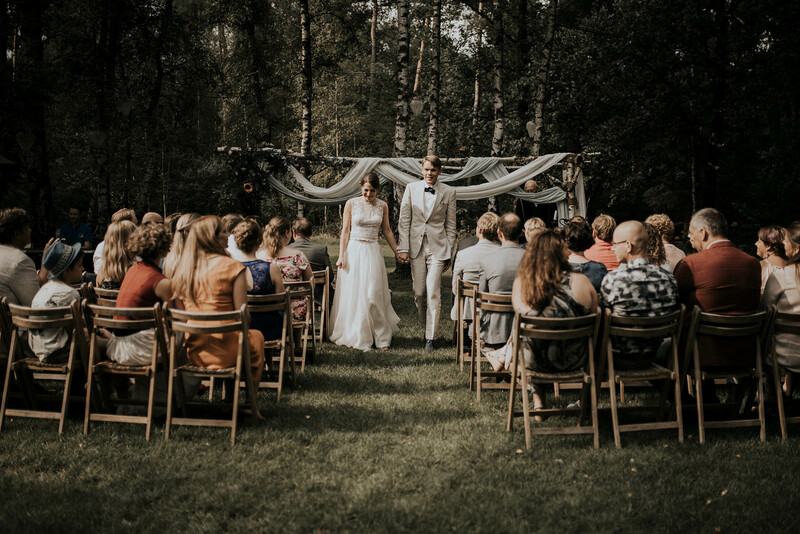 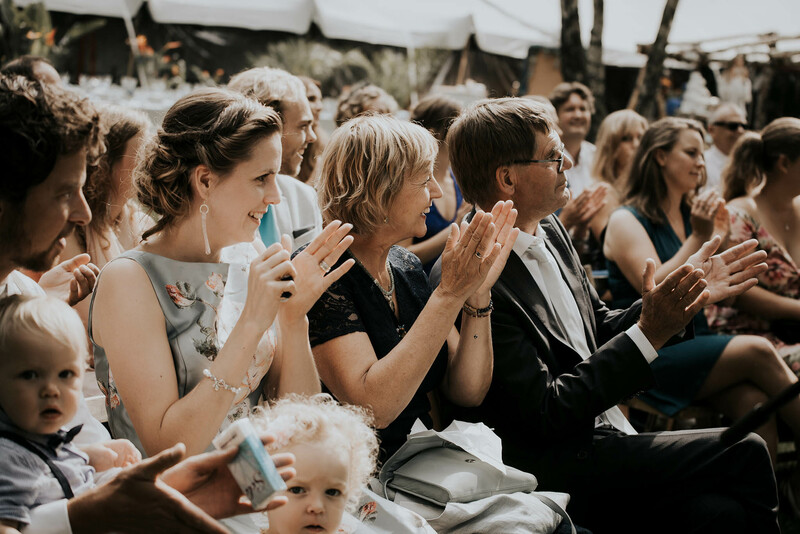 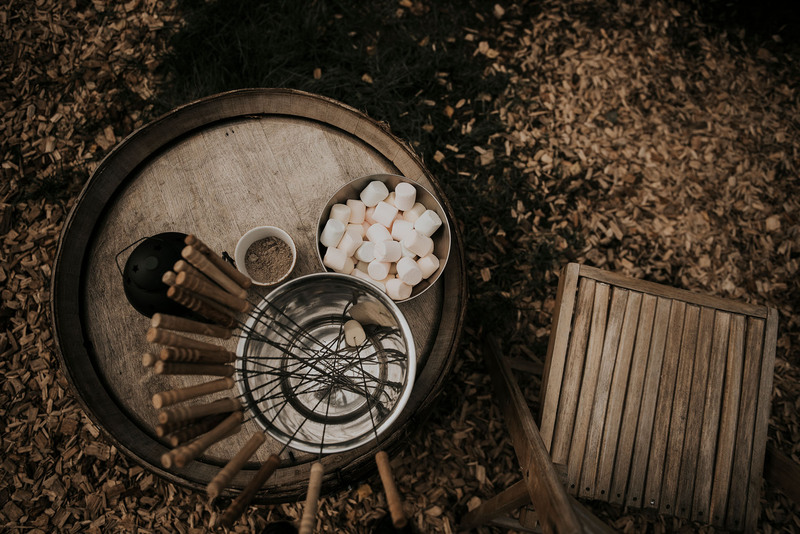 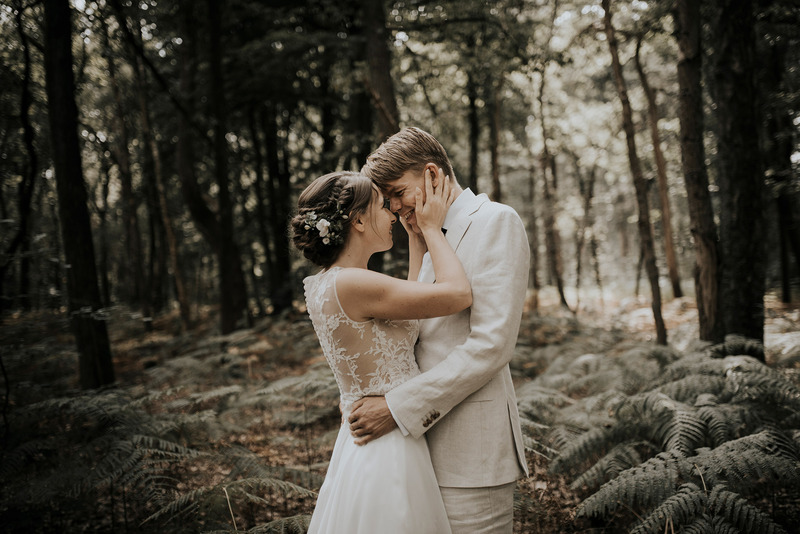 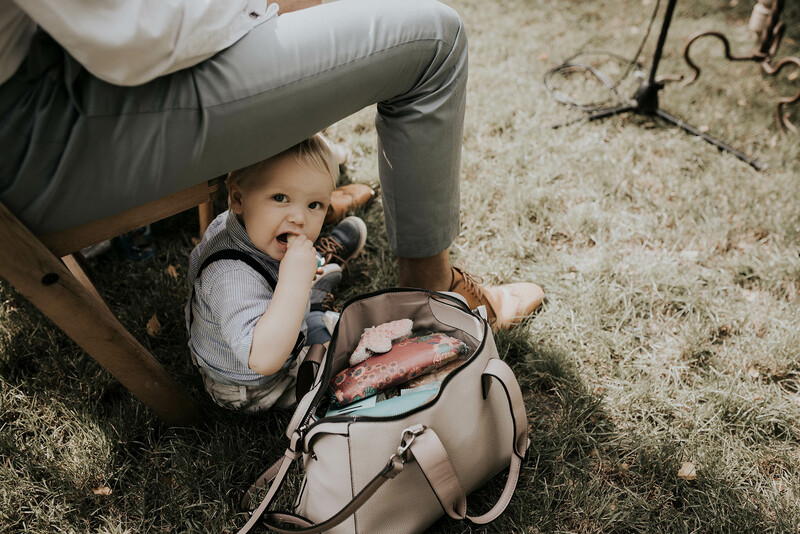 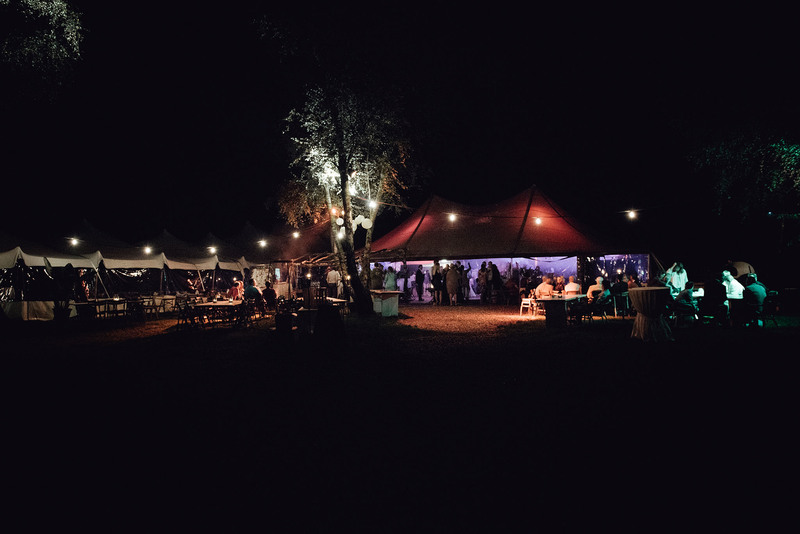 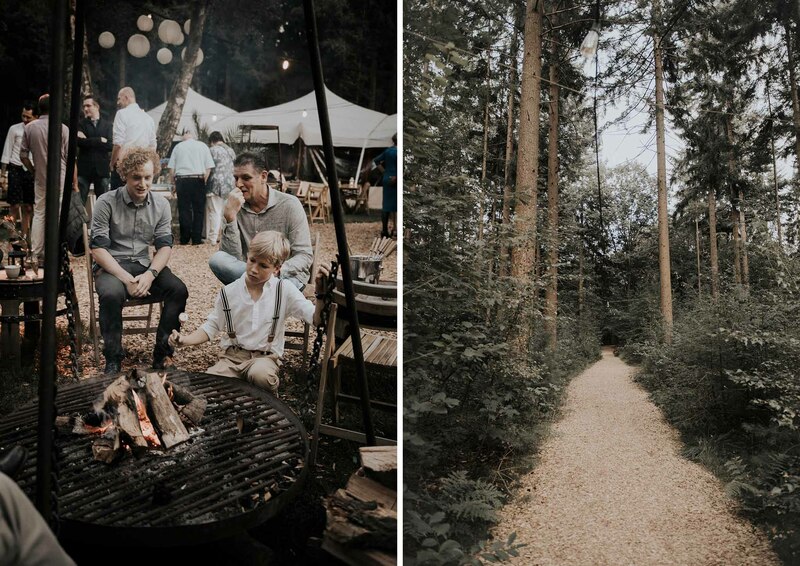 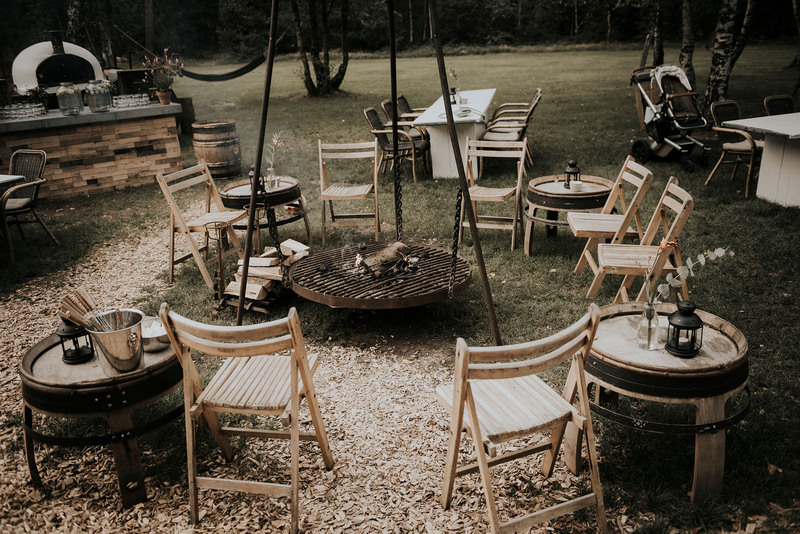 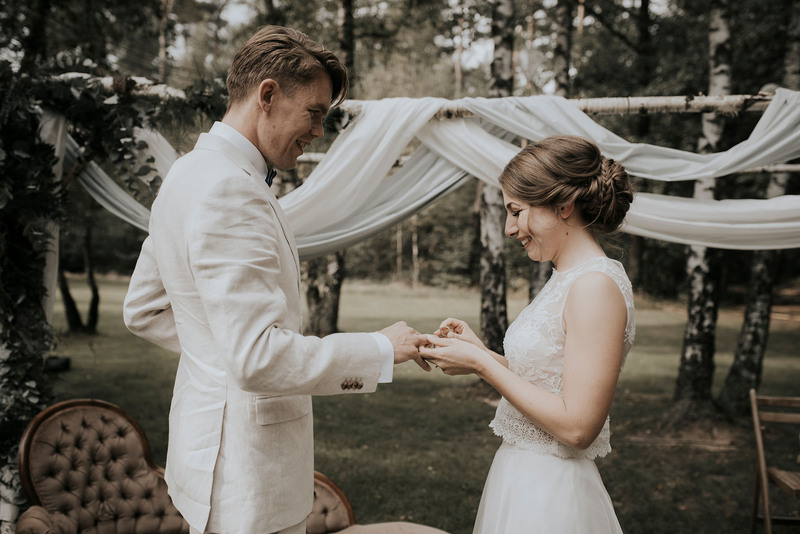 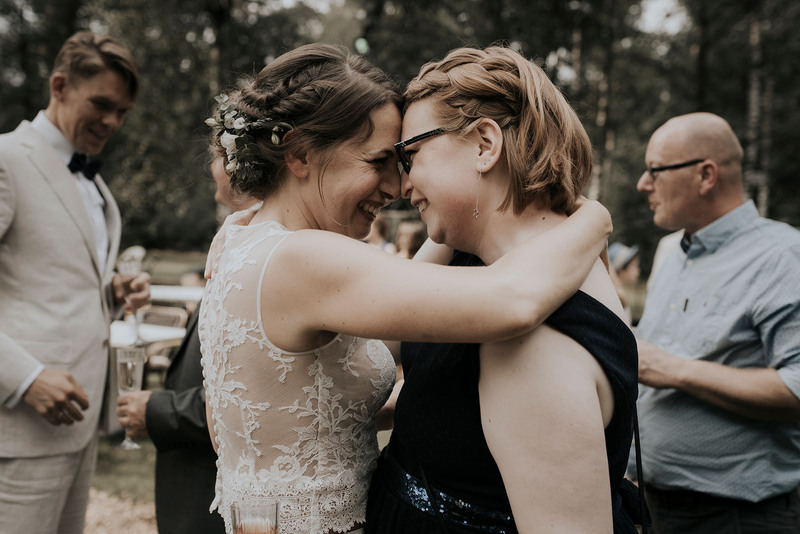 When we arrived at the venue, the forest had been transformed into a magical place filled with natural materials, beautiful foliage and white decorations, basking – luckily – in warm August sunshine. 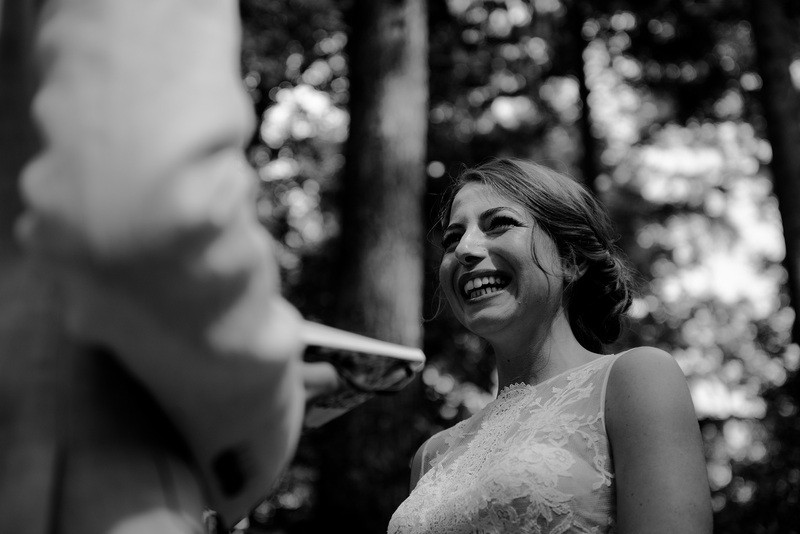 The brightest thing there though, was the look on Bart’s face as he saw Sabine make her entrance. 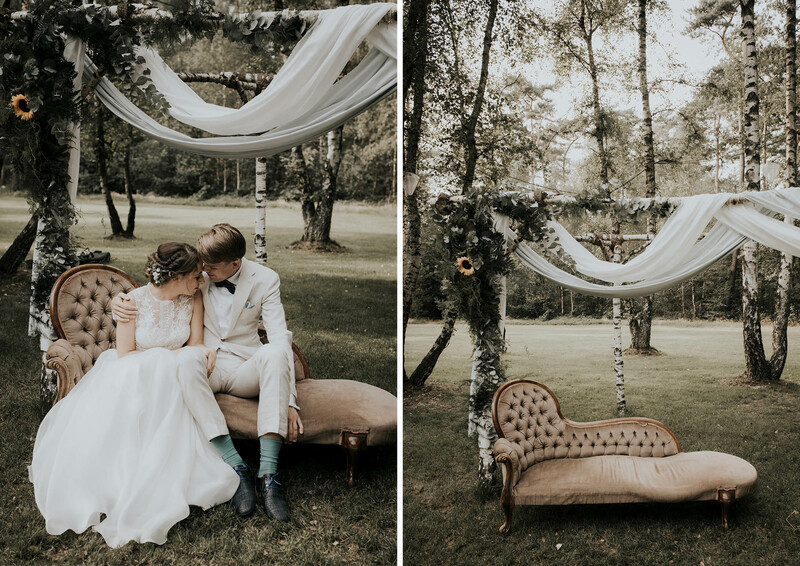 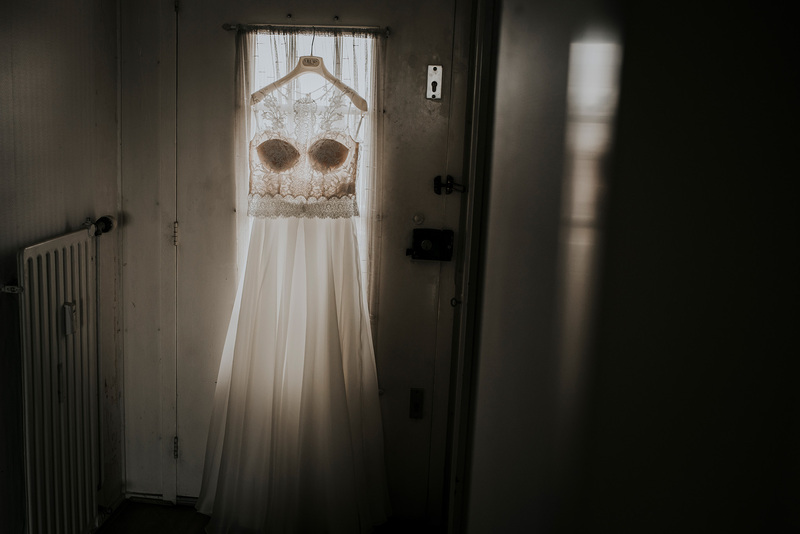 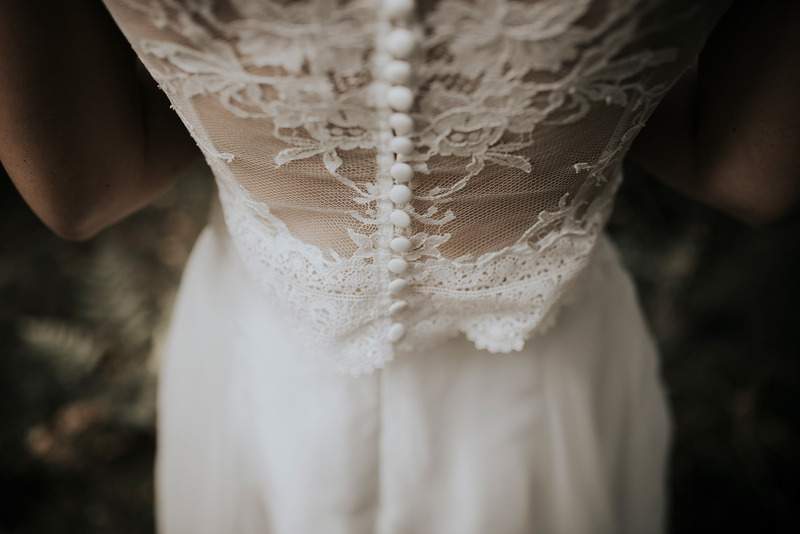 First looks always make my heart feel like it’s going to burst. 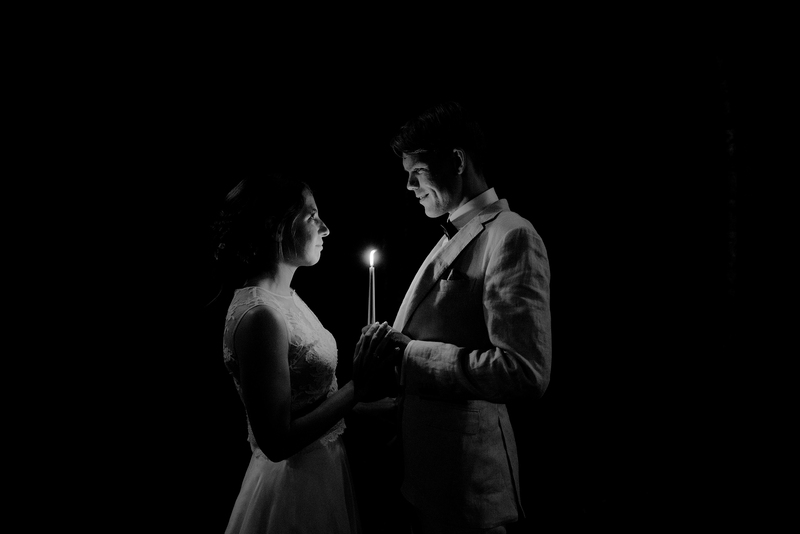 This one was really quite special. 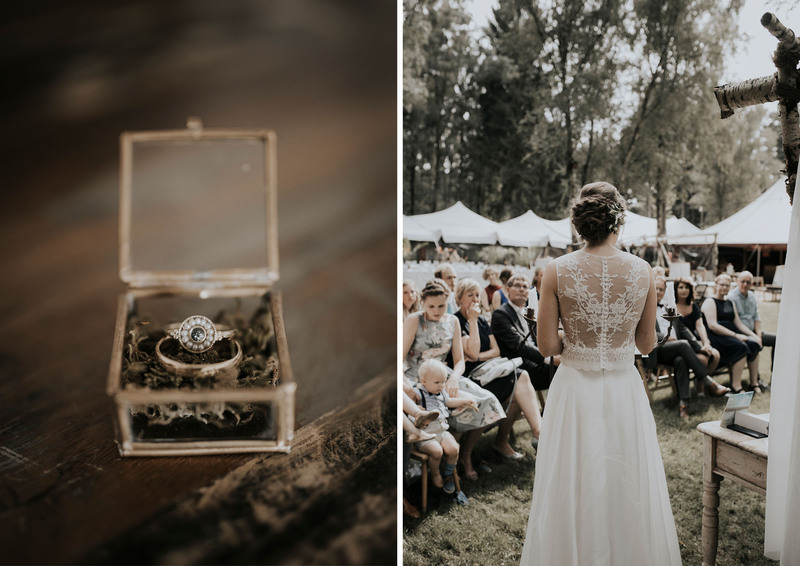 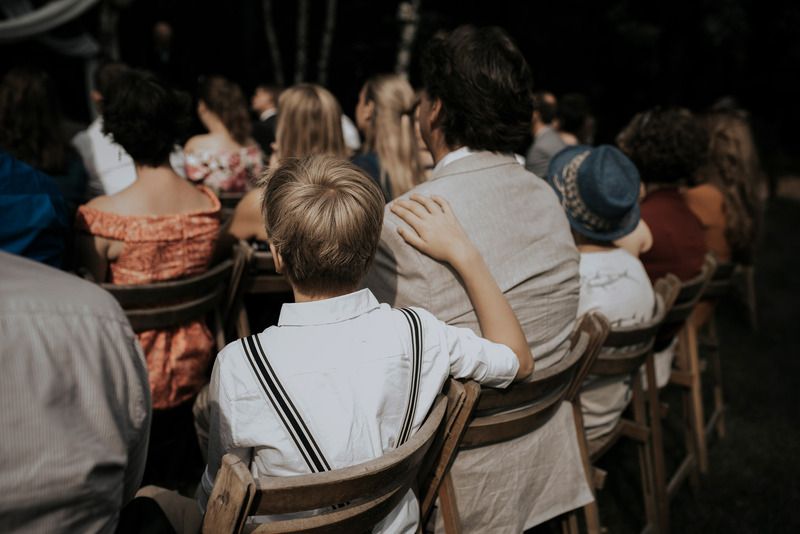 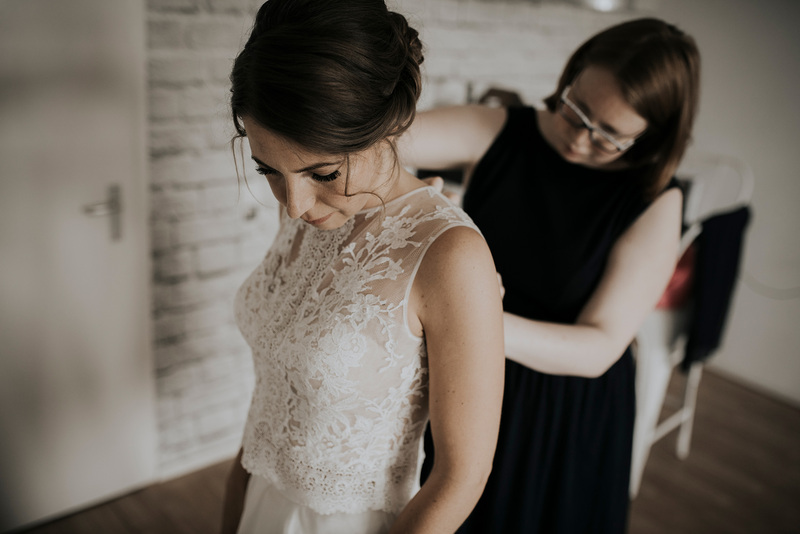 The couple had prerecorded their vows, but wanted to take a moment alone to speak them to each other. 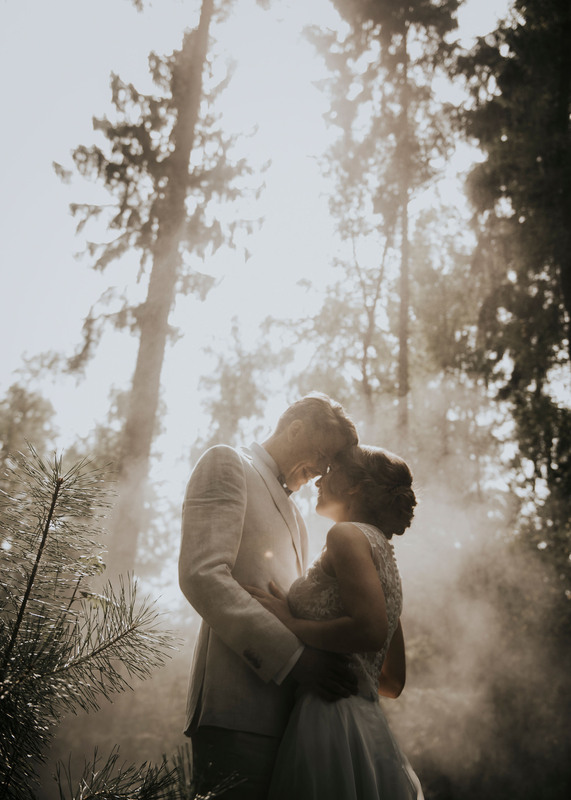 They wandered into a more secluded part of the woods, away from the liveliness of the party, where they made their promises soaked in the sunlight beaming through the trees, with me lurking in the bushes taking pictures of course! 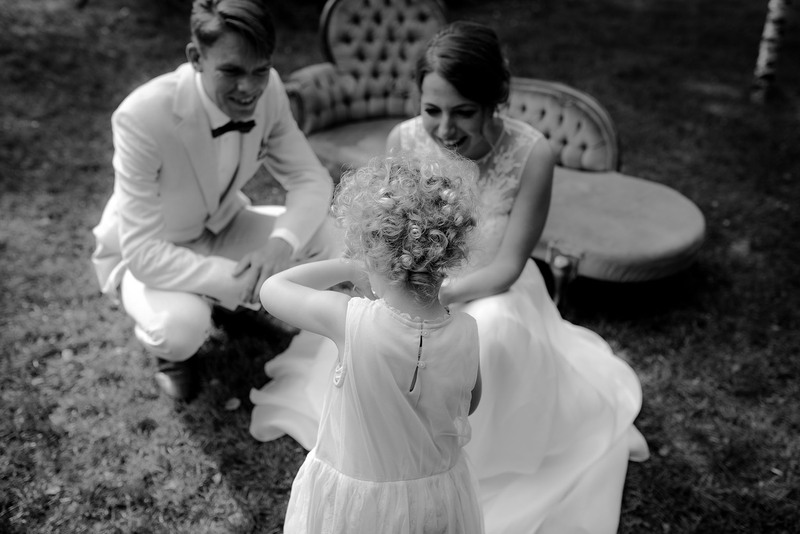 The rest of the day was a blur of elegance, simplicity and many tears of happiness. 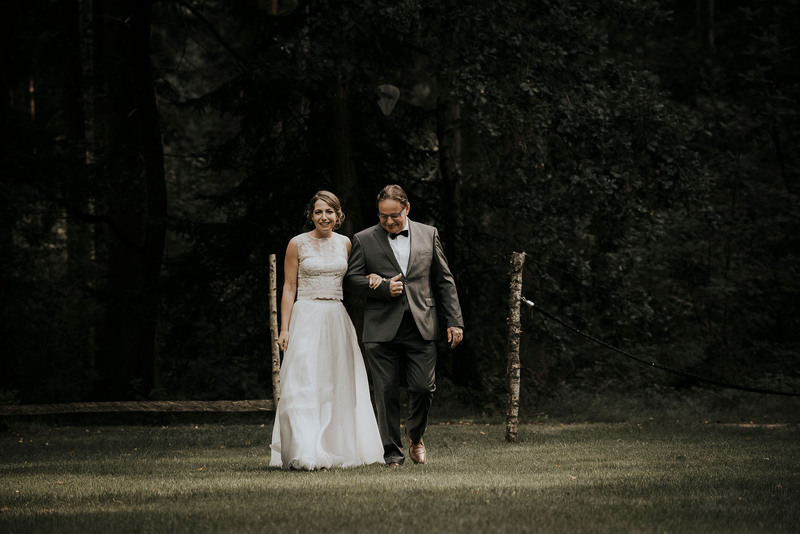 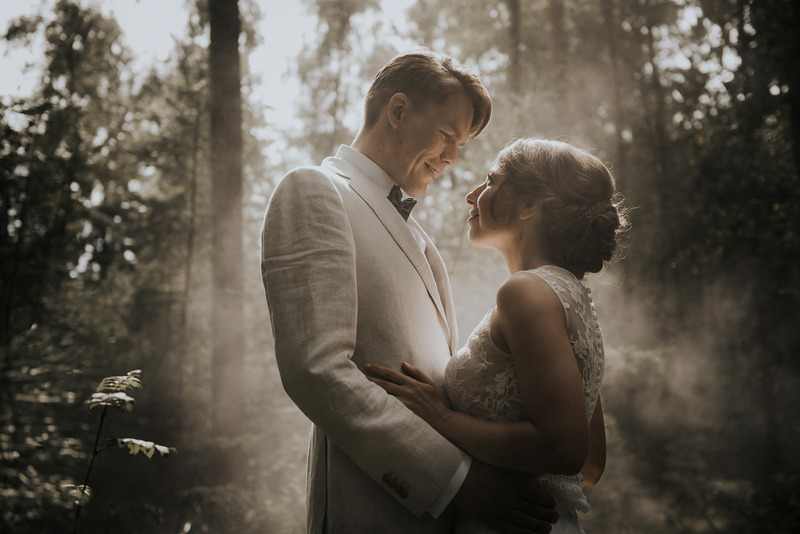 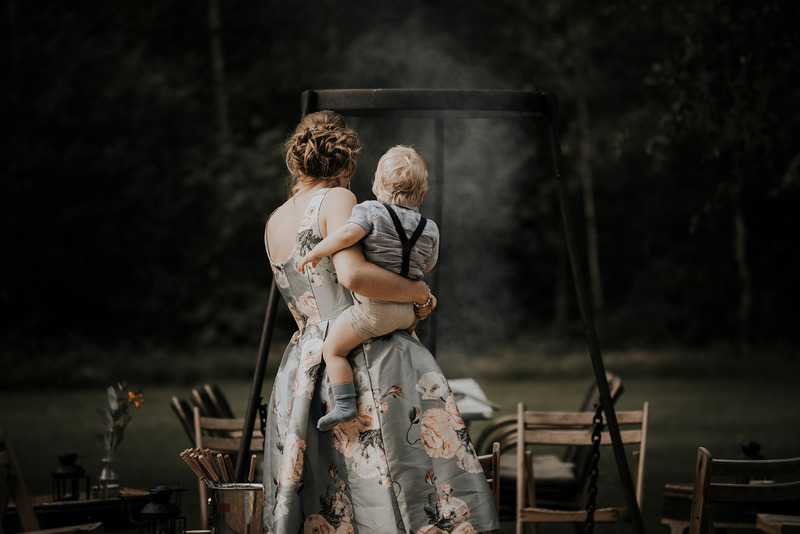 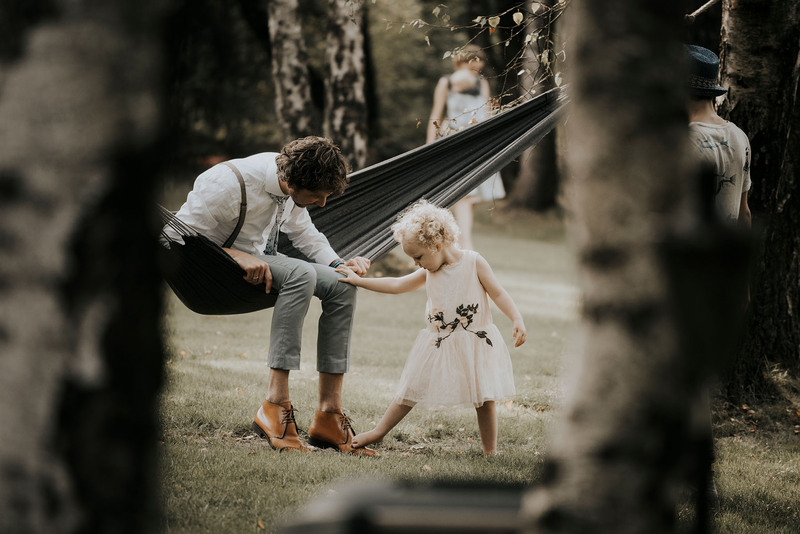 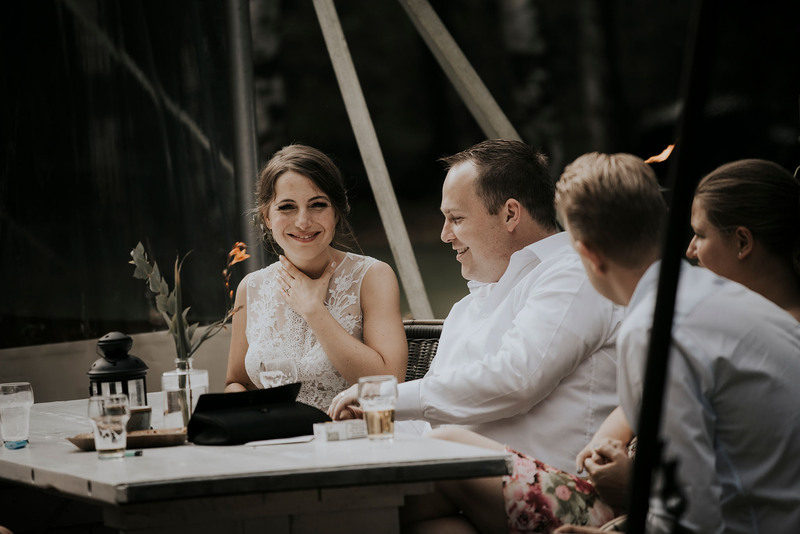 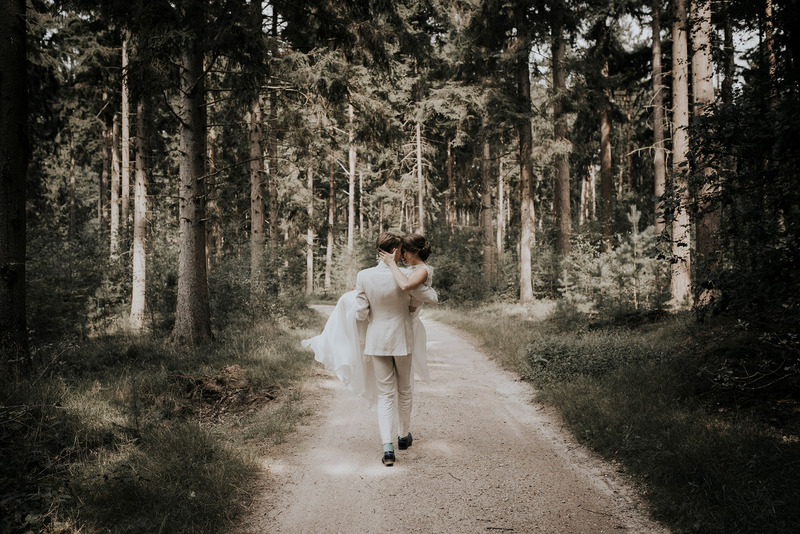 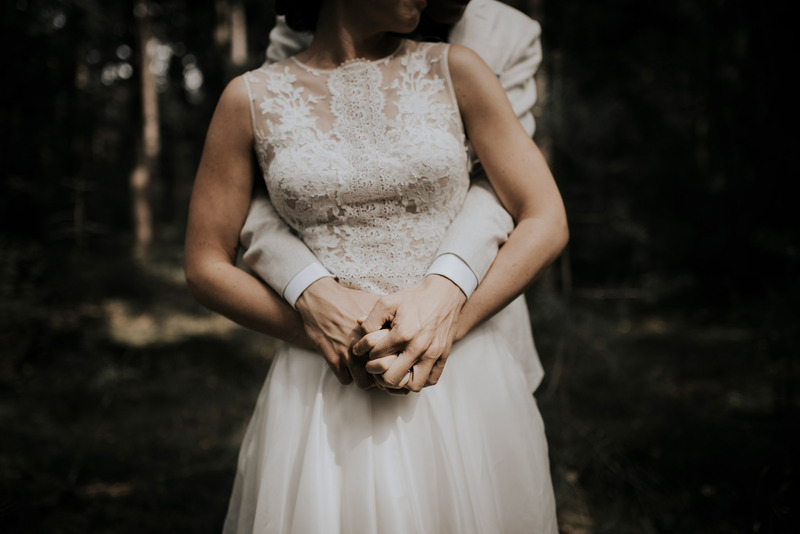 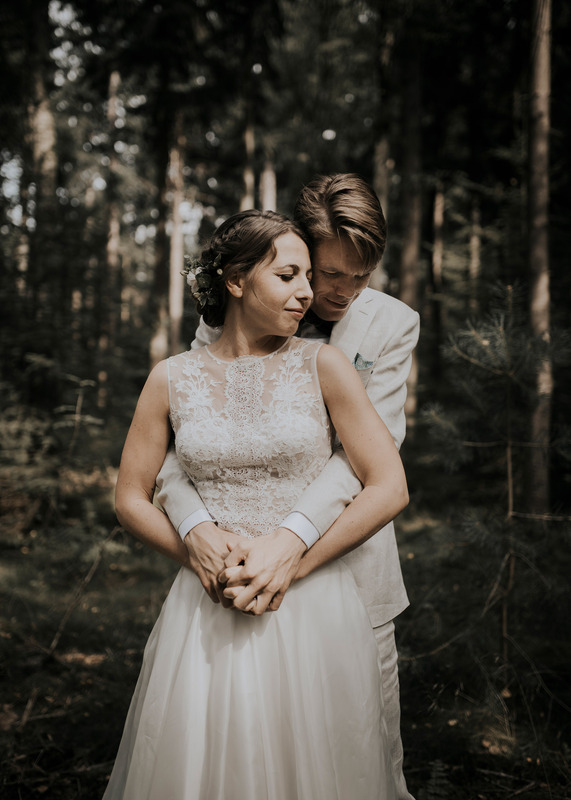 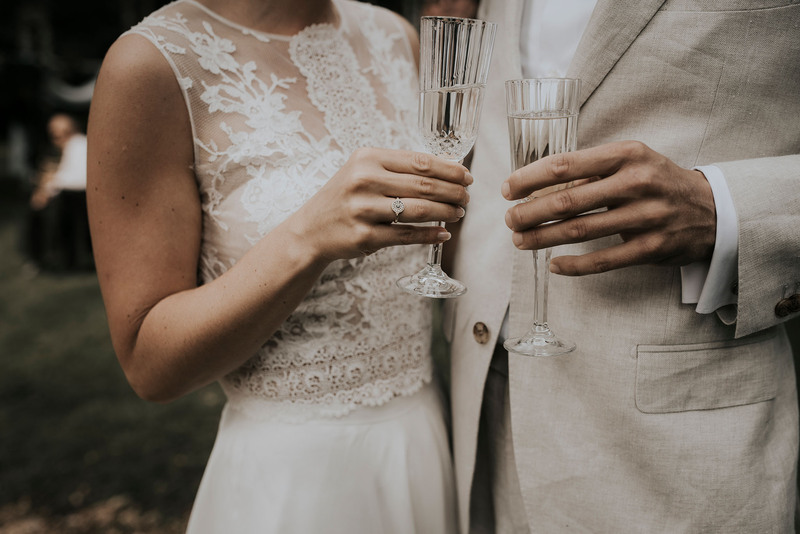 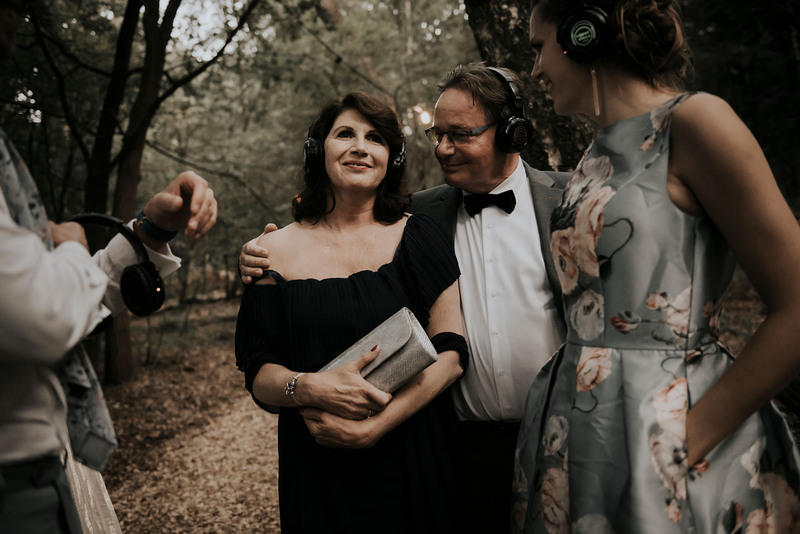 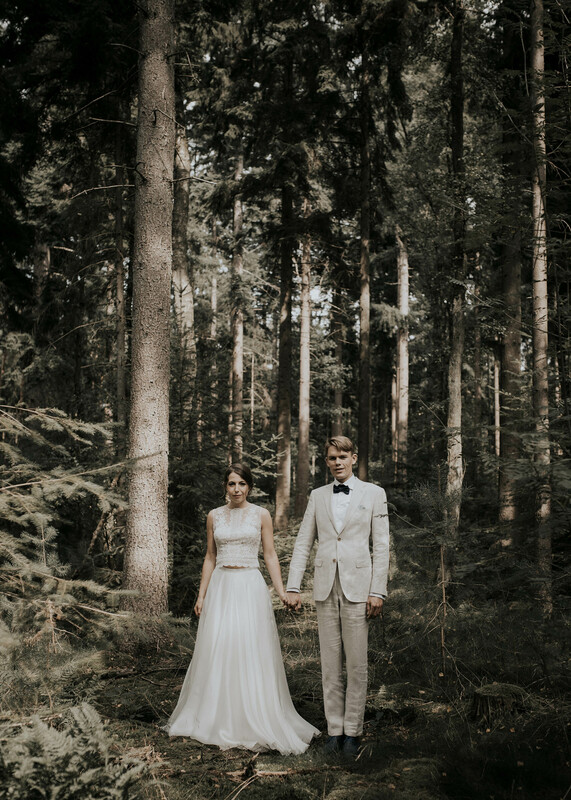 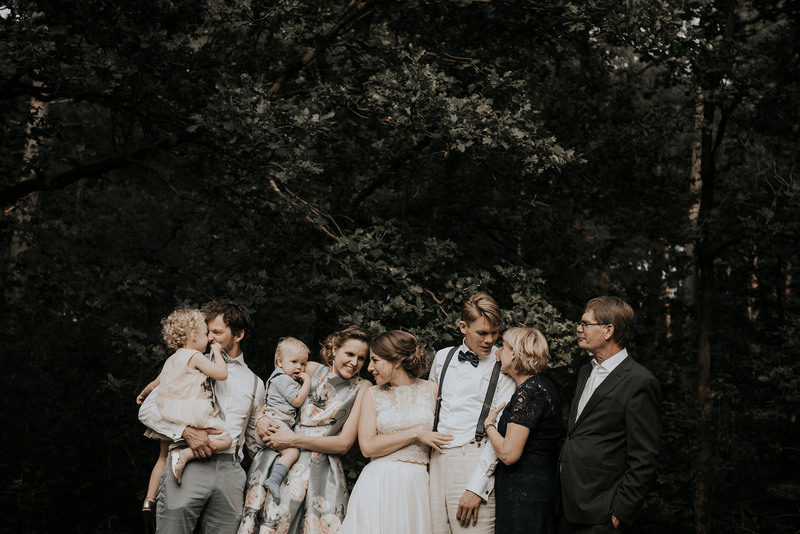 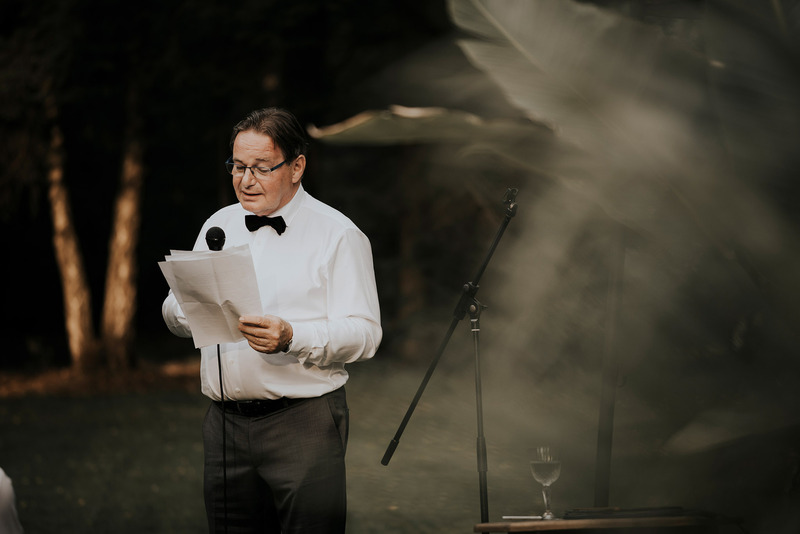 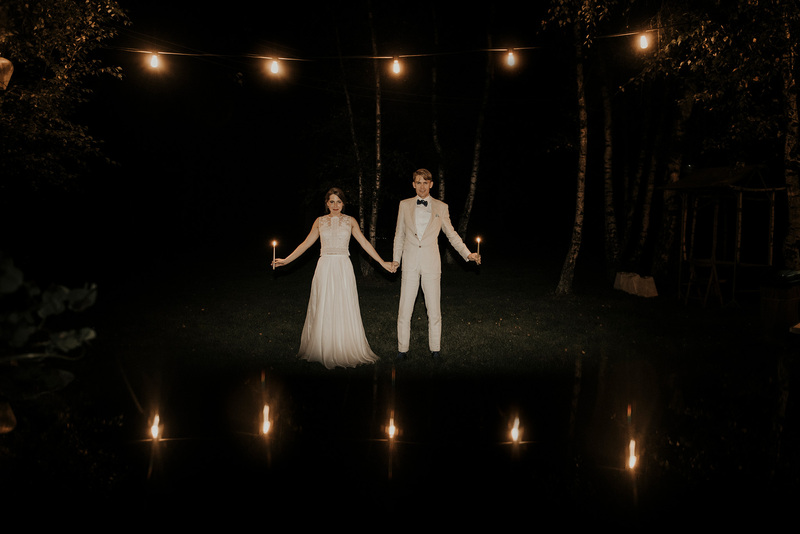 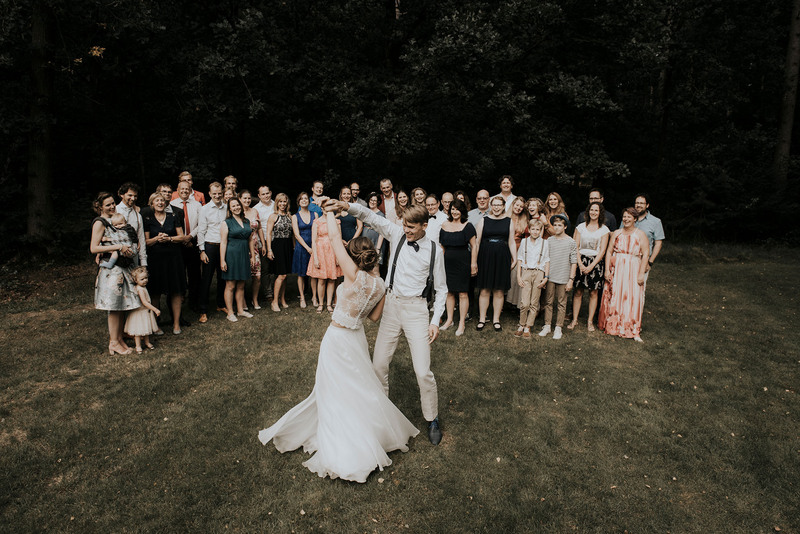 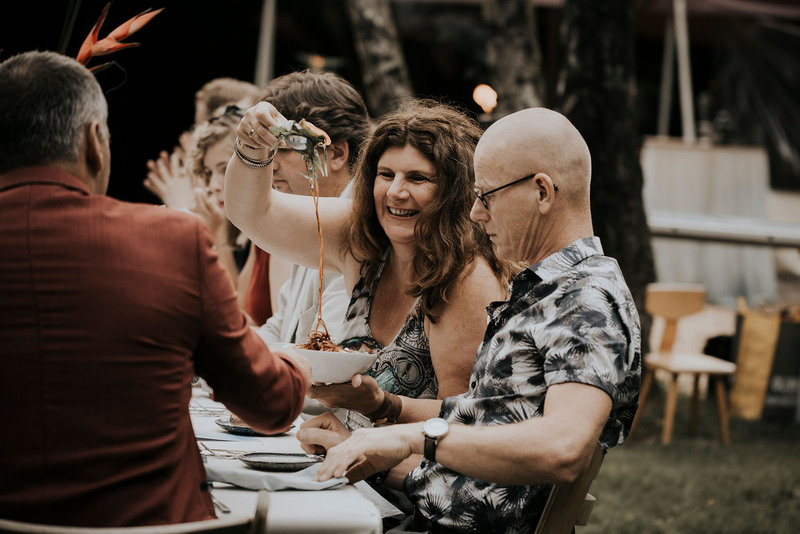 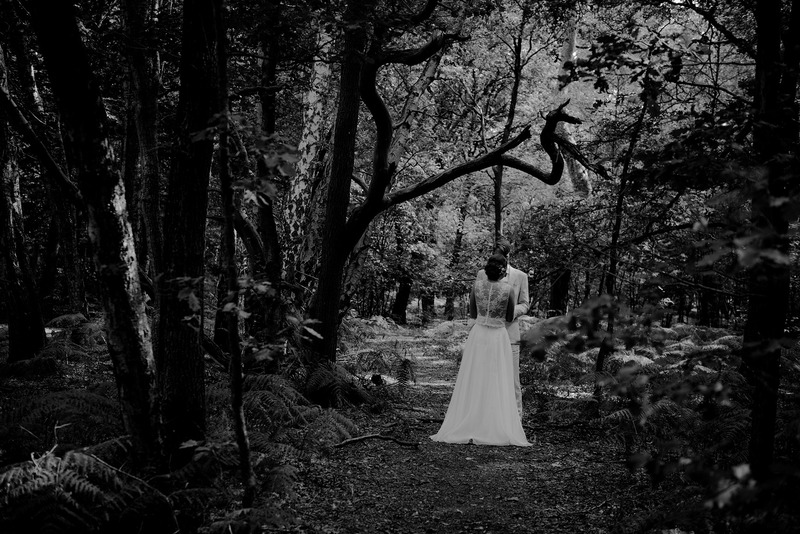 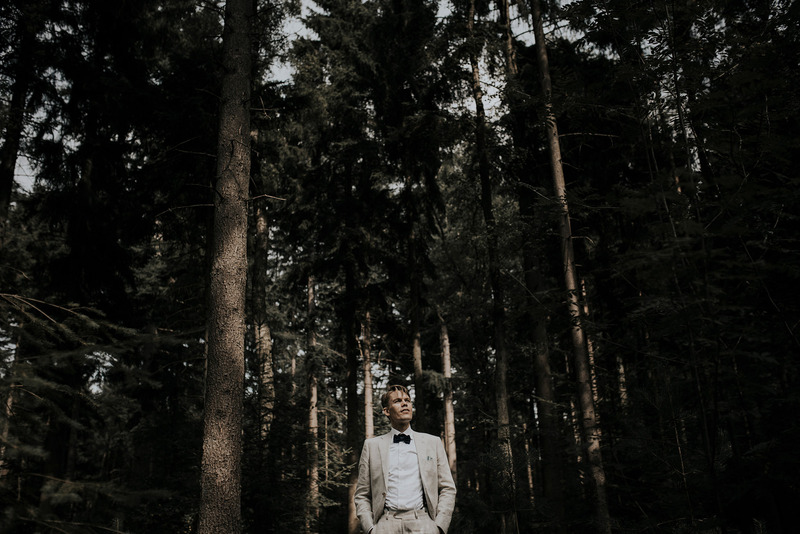 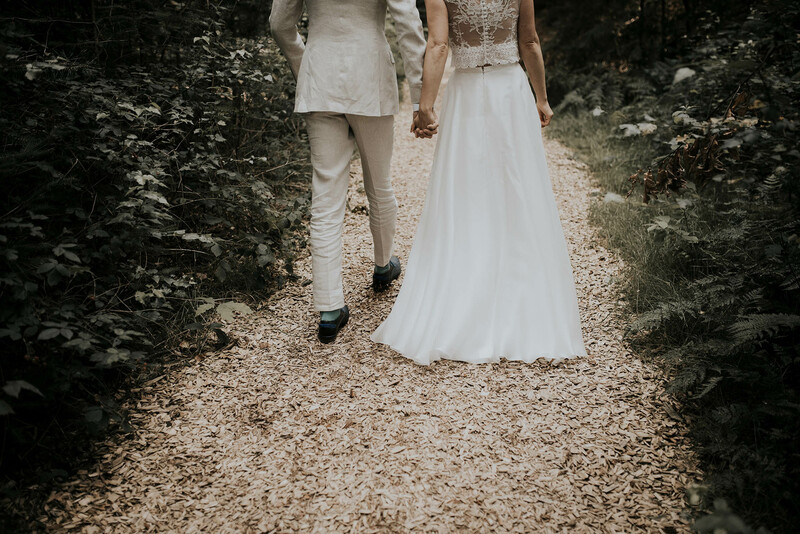 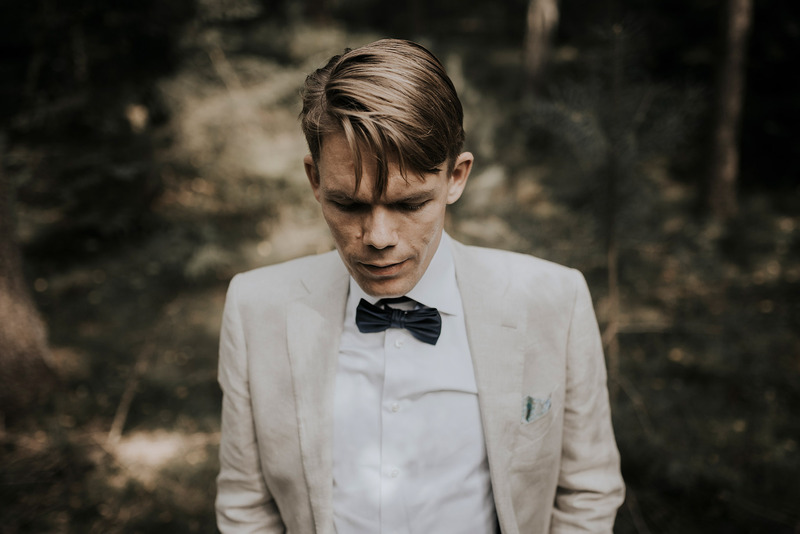 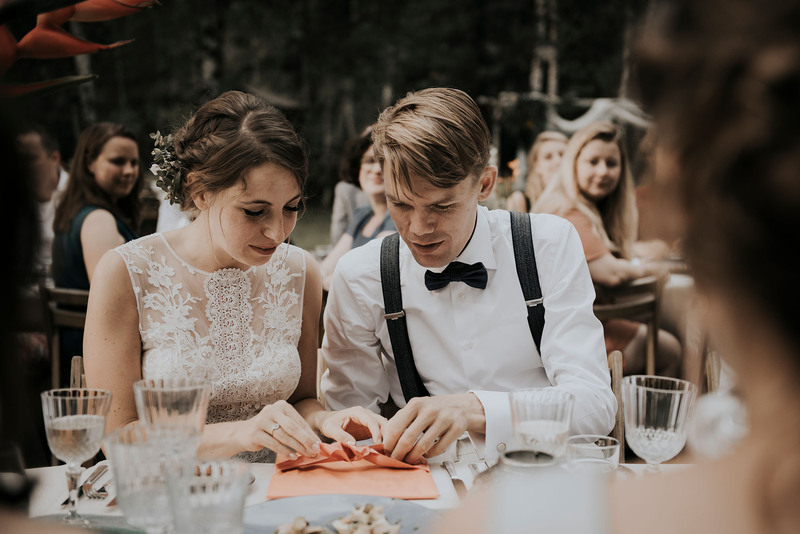 Finally, after a gorgeous dinner served at tables decorated to perfection with wood and tropical flowers, Bart and Sabine went to freshen up and the guests were ushered back to the edge of the forest. 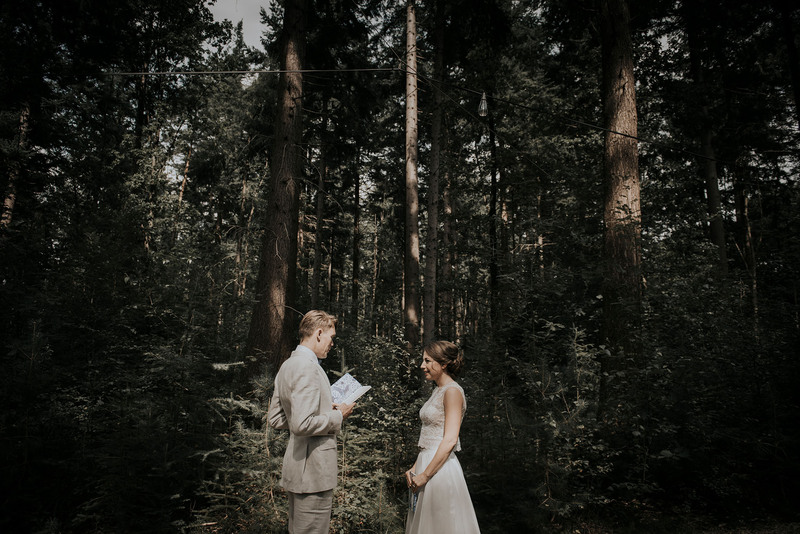 While Bart and Sabine went to freshen up, the guests were ushered back to the edge of the forest. 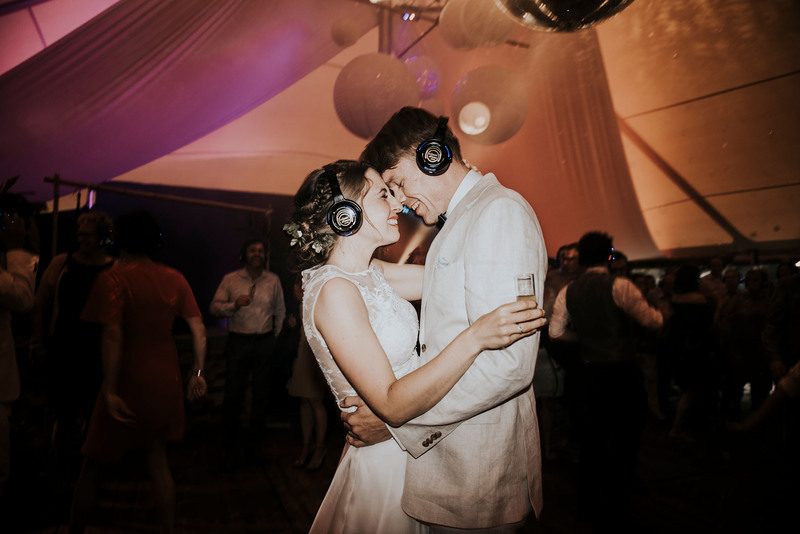 There they received a pair of wireless headphones each. 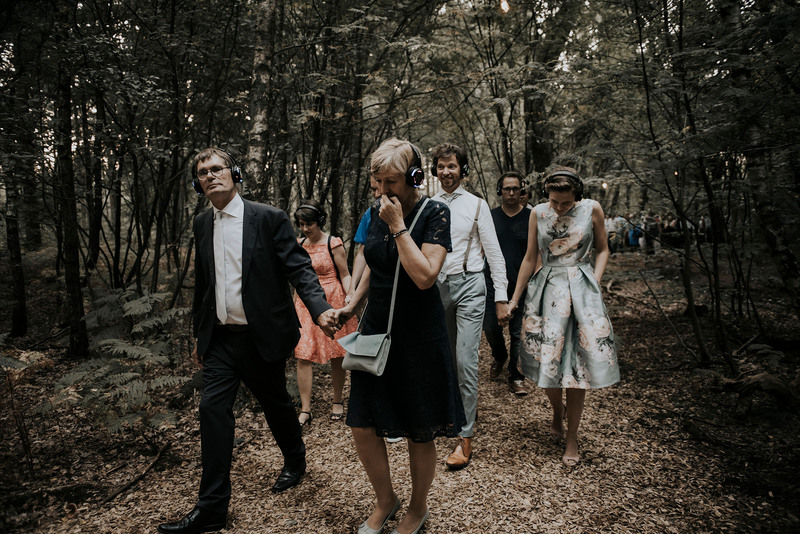 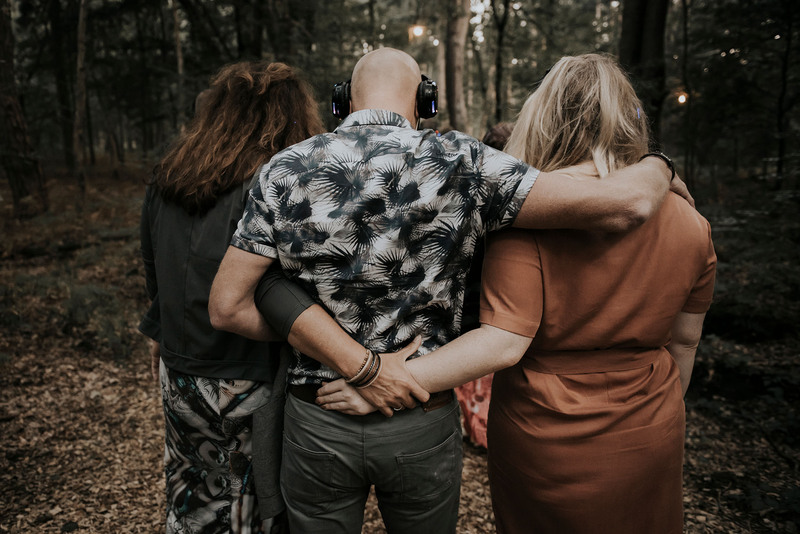 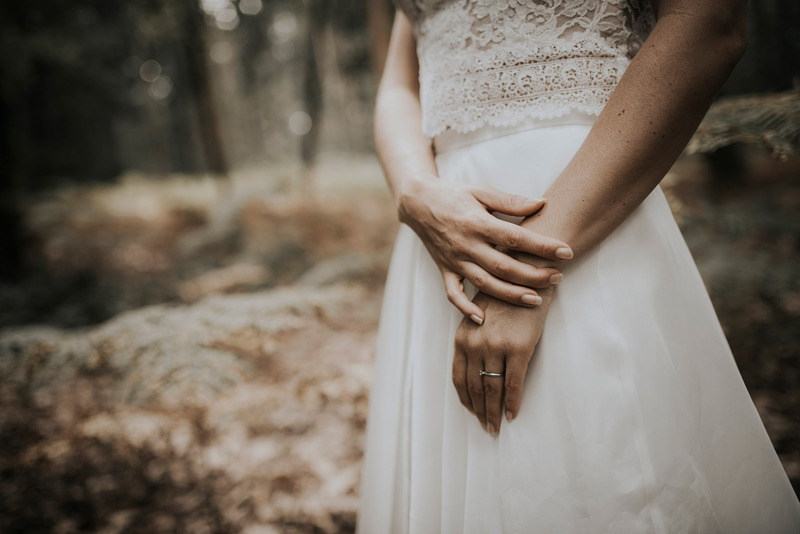 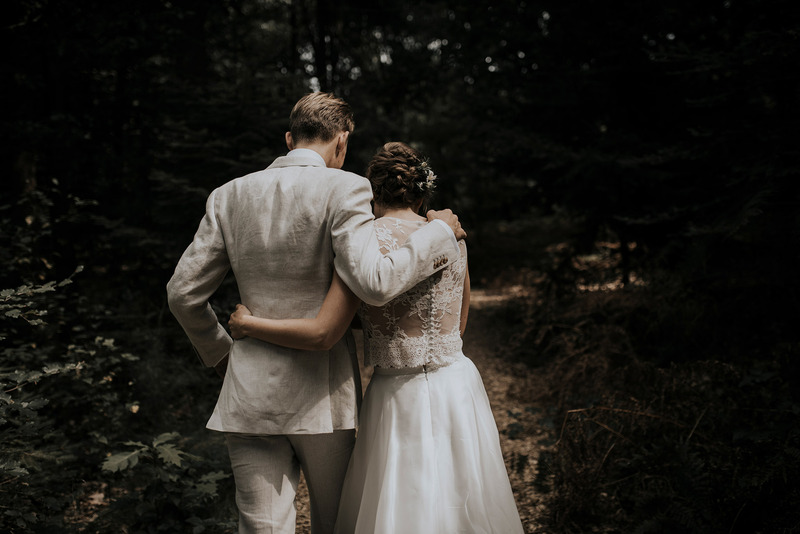 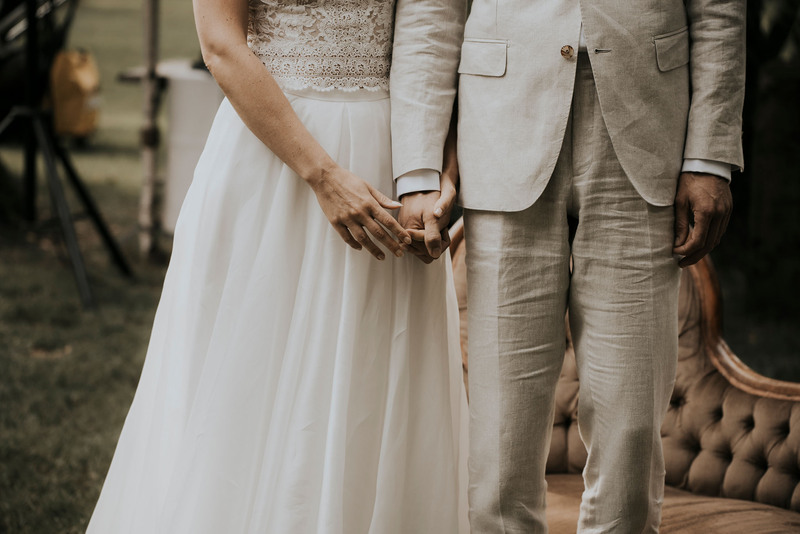 As they walked down a path towards a tent, they listened to the recording of the couple speaking their vows. 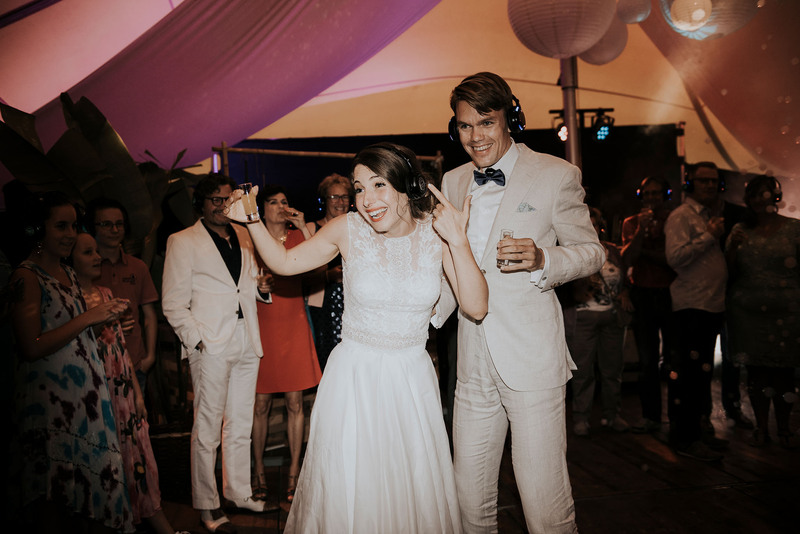 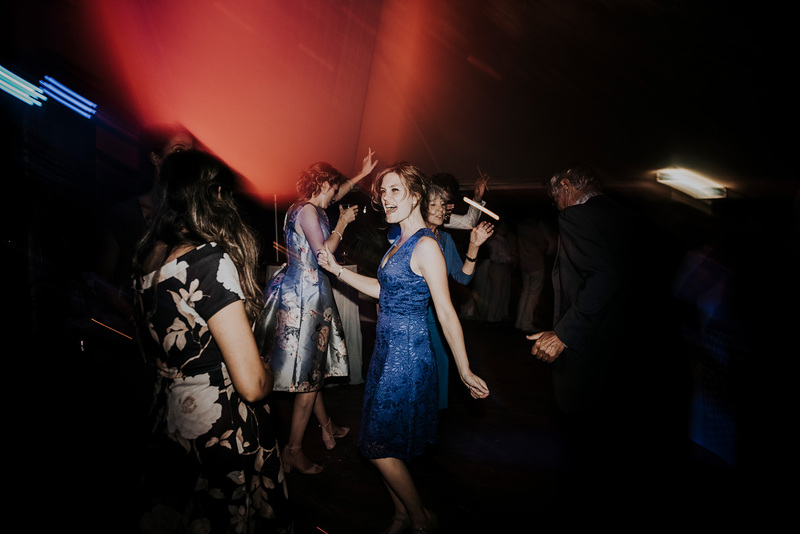 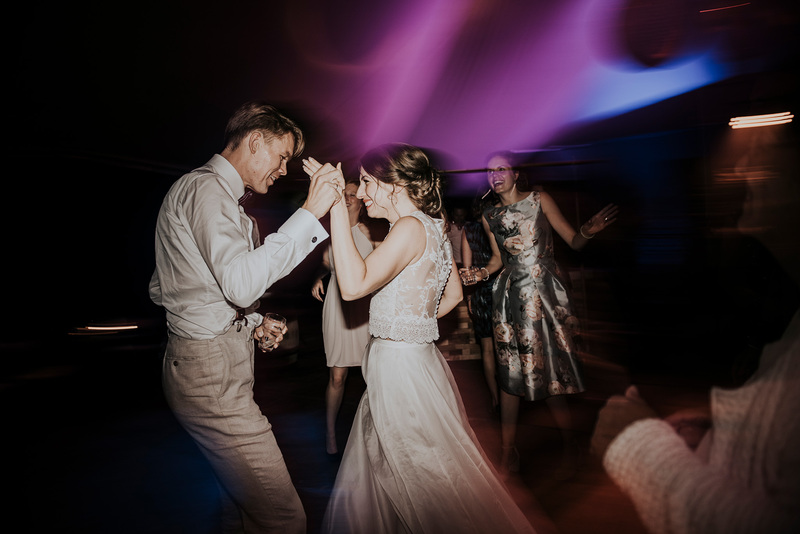 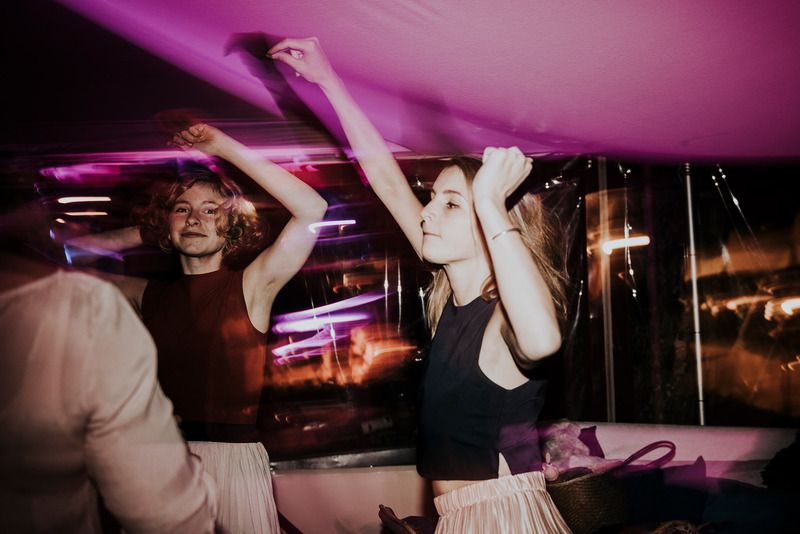 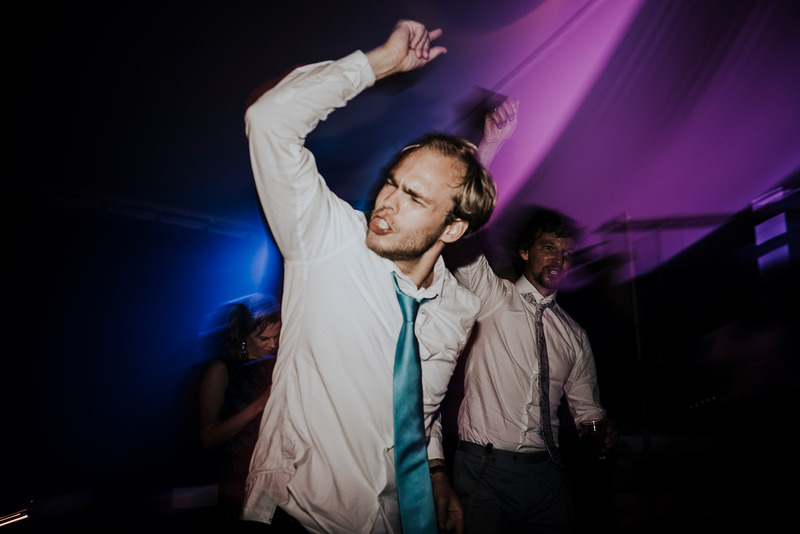 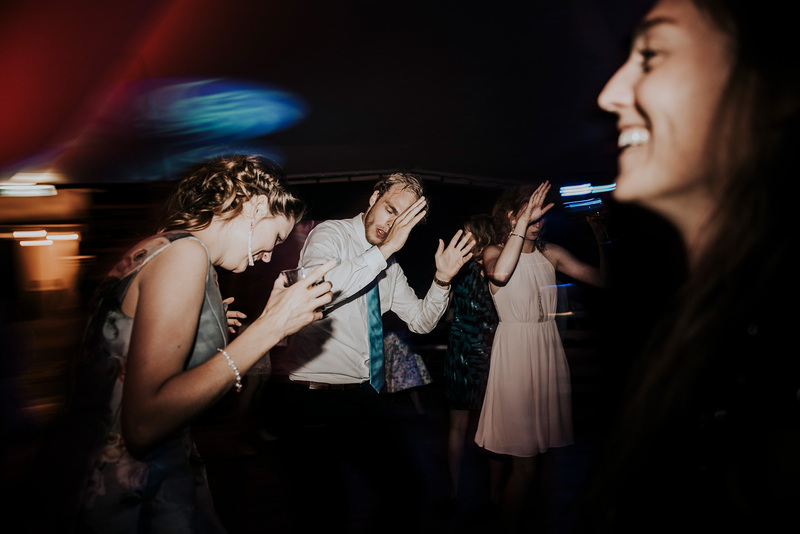 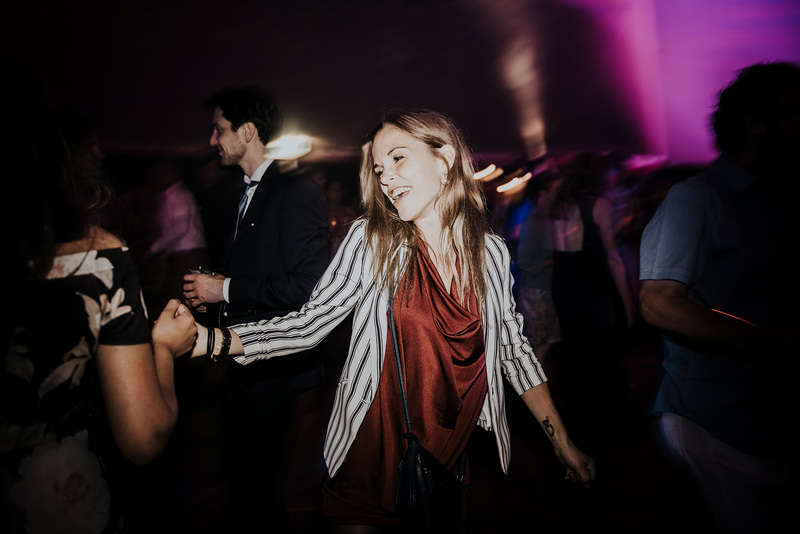 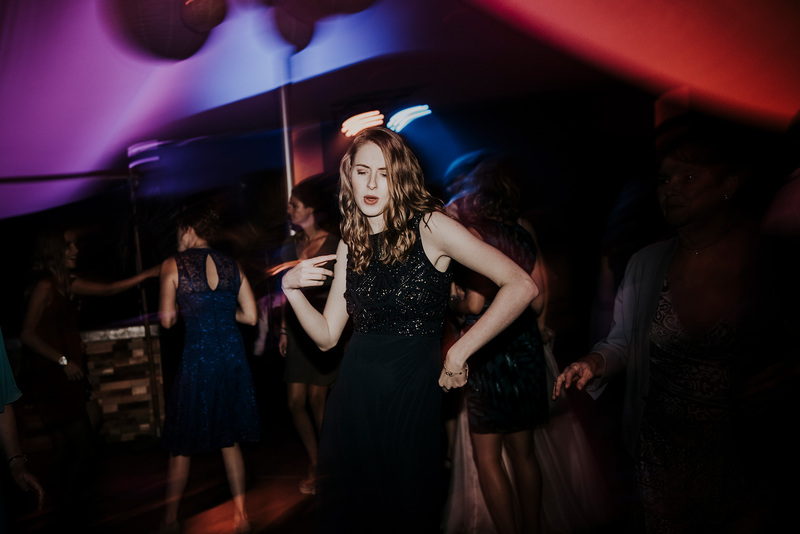 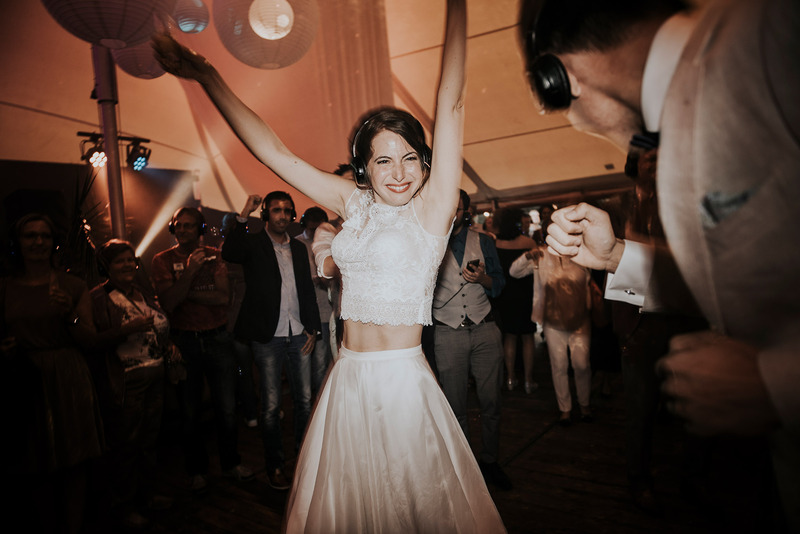 The closer they came to the tent, the more the vows made way for music, and by the time they reached the dance floor it was a silent disco. 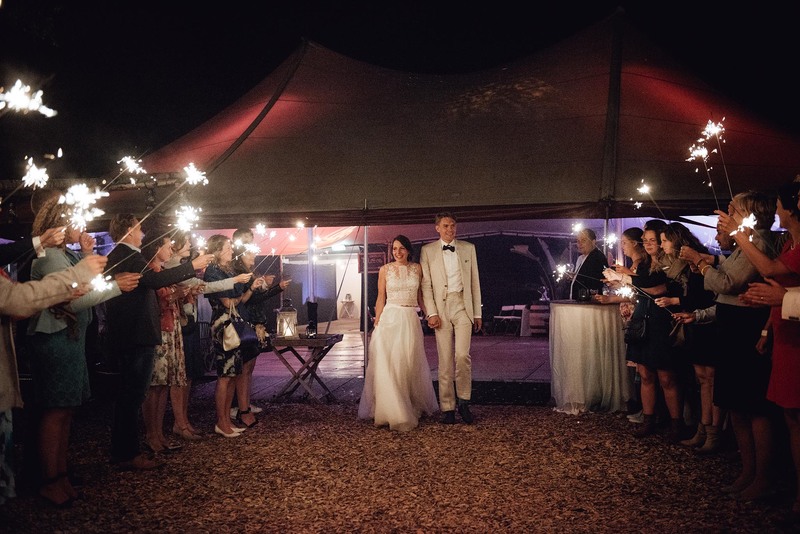 The happy couple joined them again for lots and lots of dancing, and the night was finished off with an ecstatic, glittering sparkler send off. 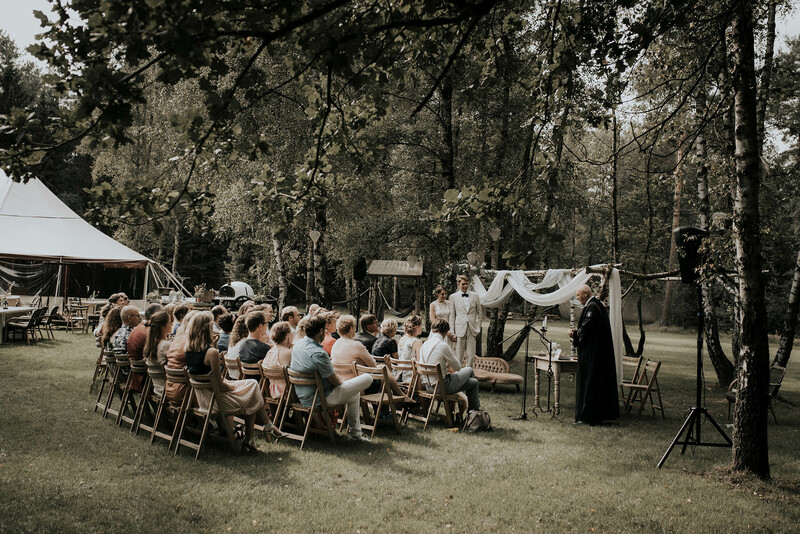 What a wedding!